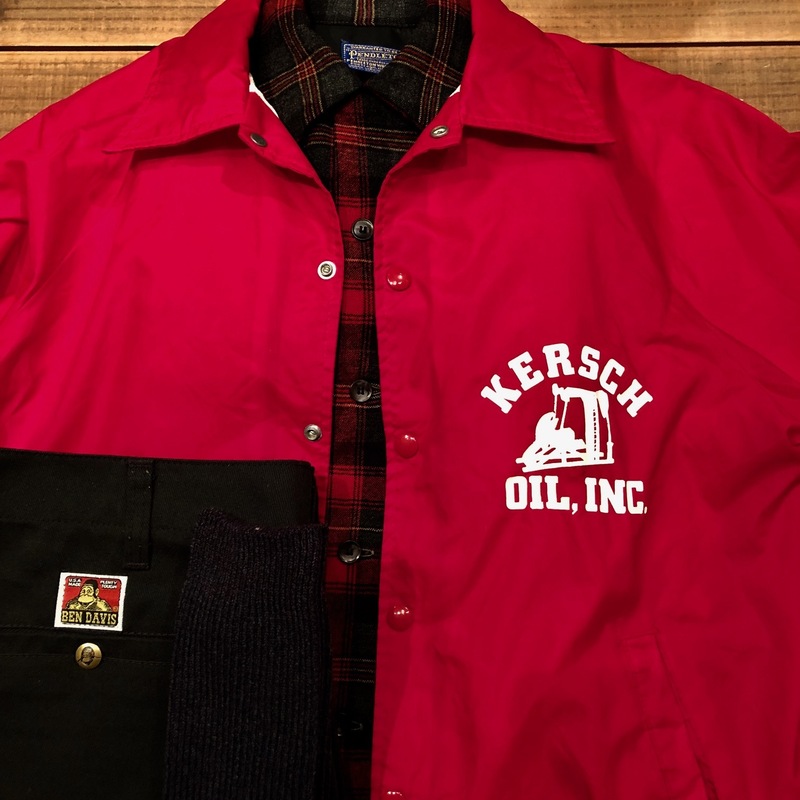 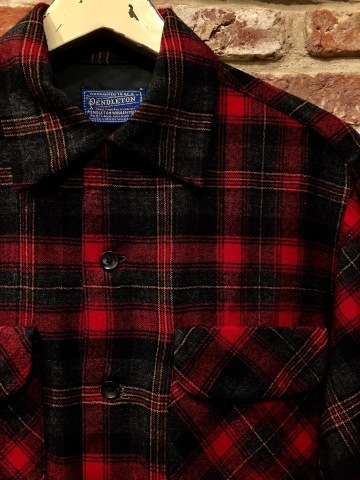 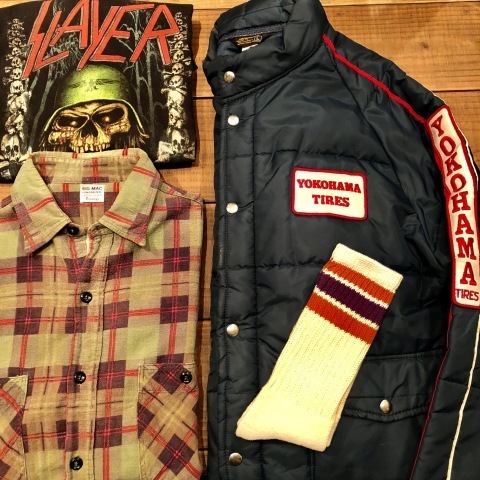 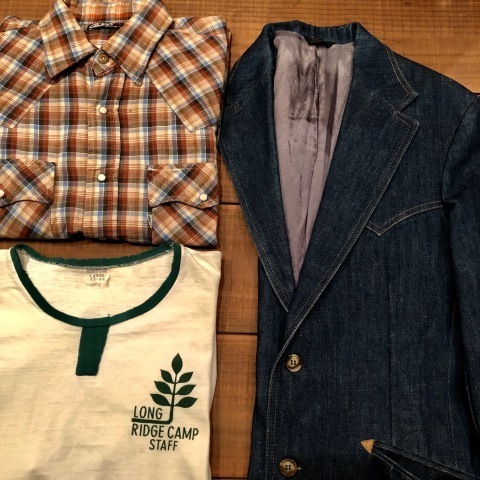 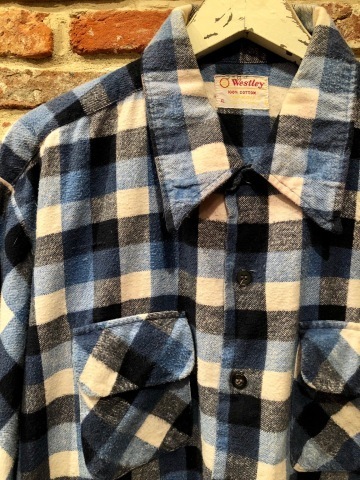 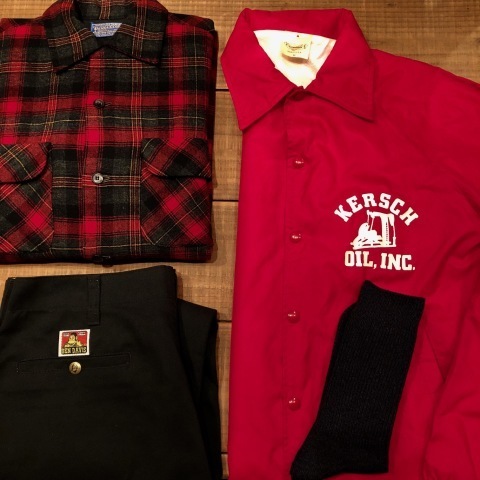 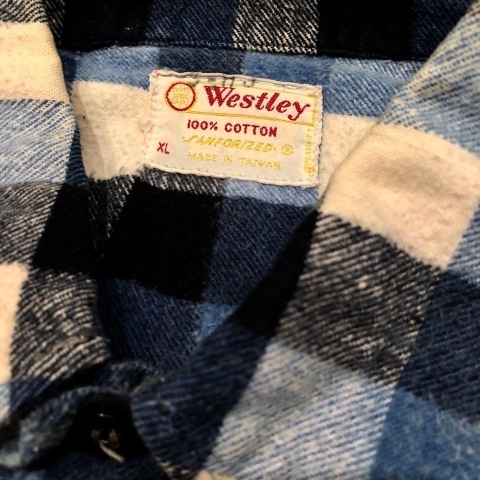 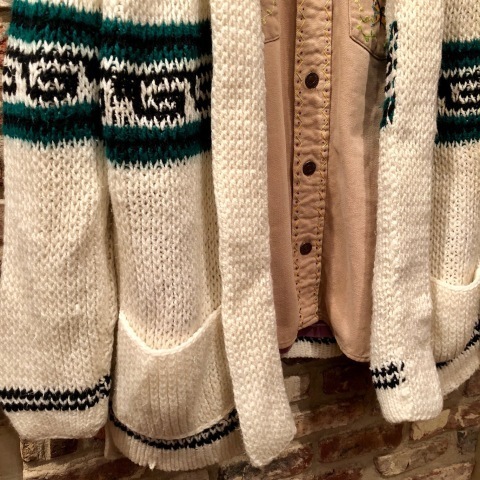 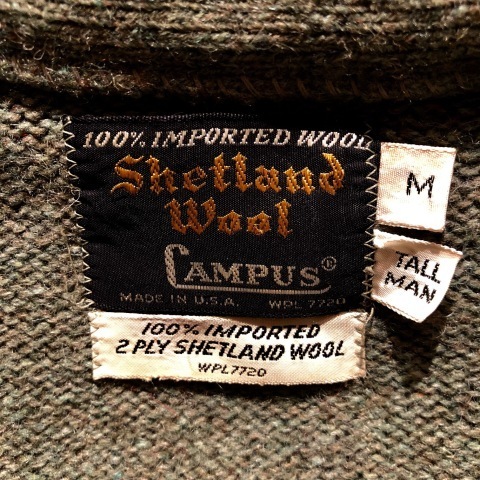 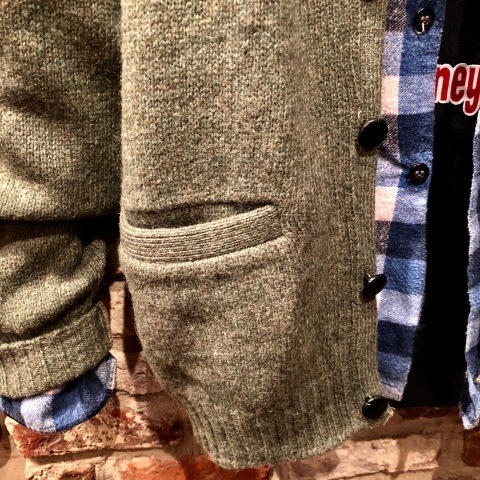 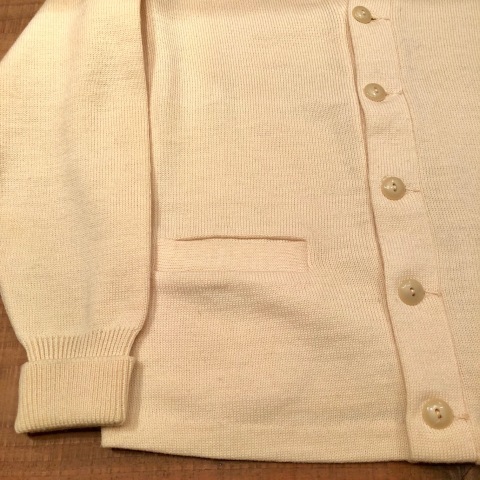 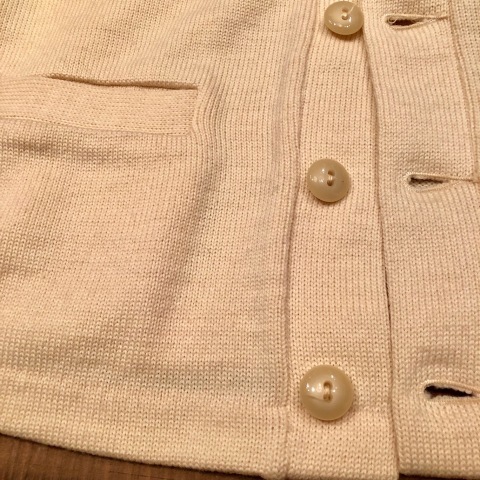 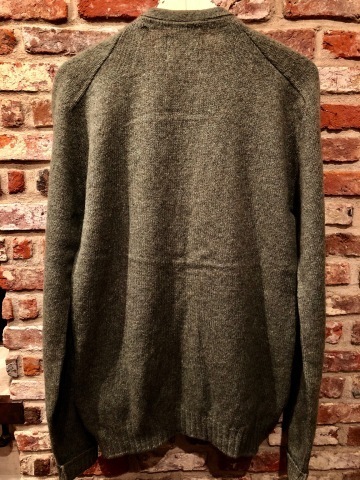 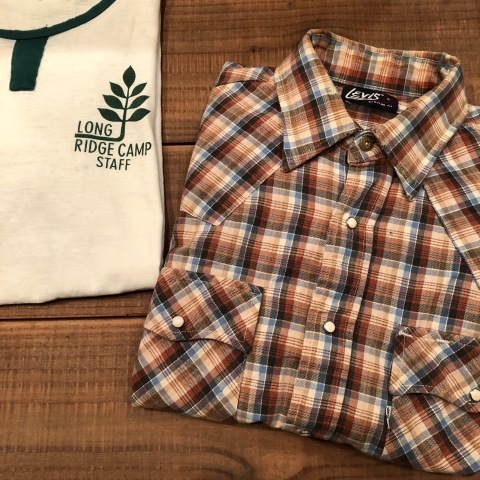 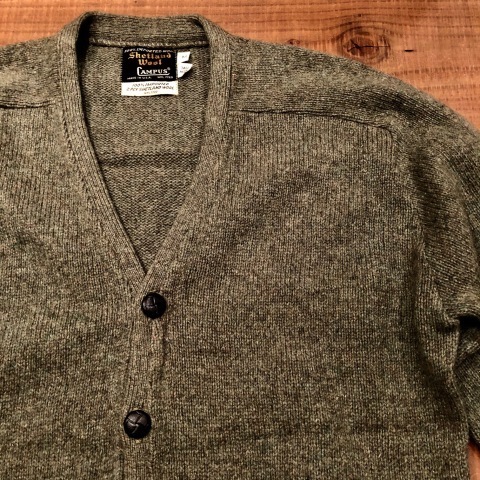 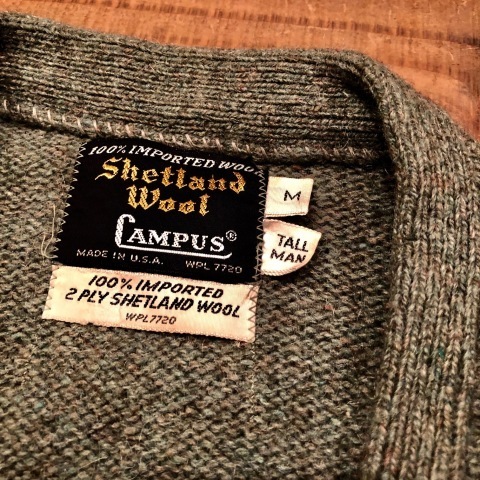 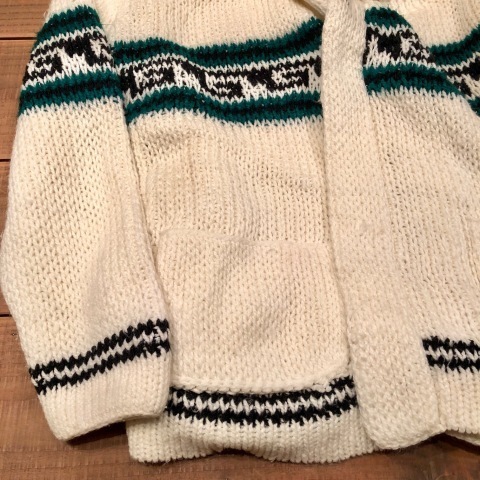 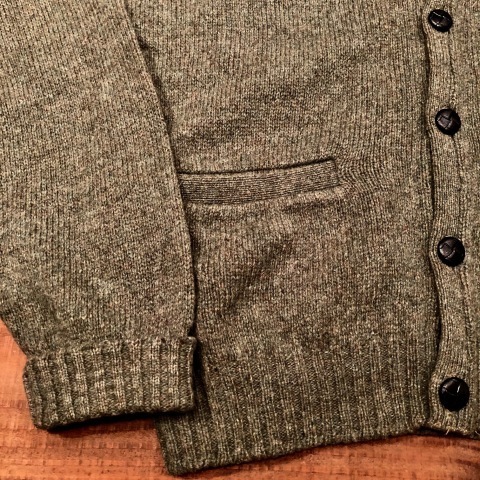 重宝する " WOOL カーディガン "
BRAND : 1960-70s " CAMPUS "
" ライトブルー ，ネイビー ，ホワイト "
BRAND : 1970s " WESTLEY "
BOX-TAIL B/C FLANNEL SHIRTS . 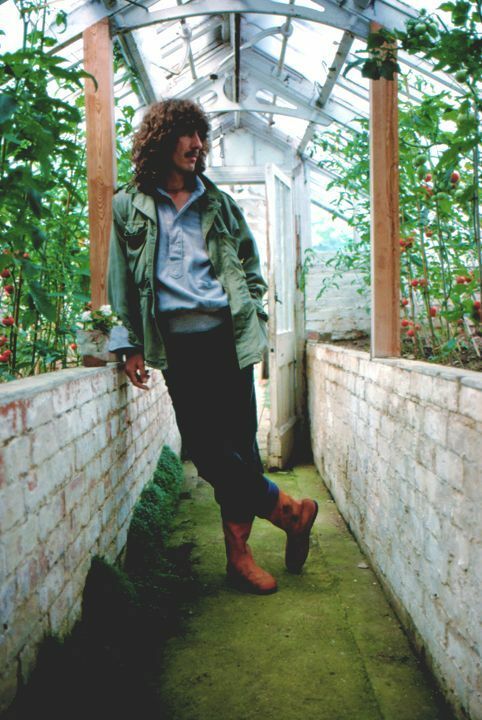 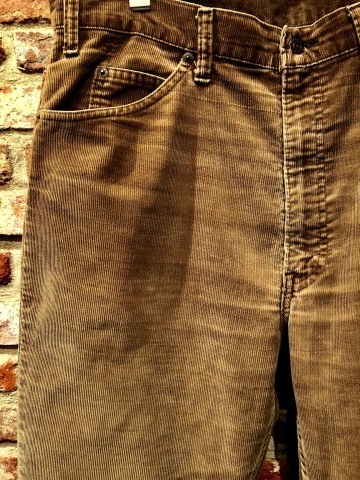 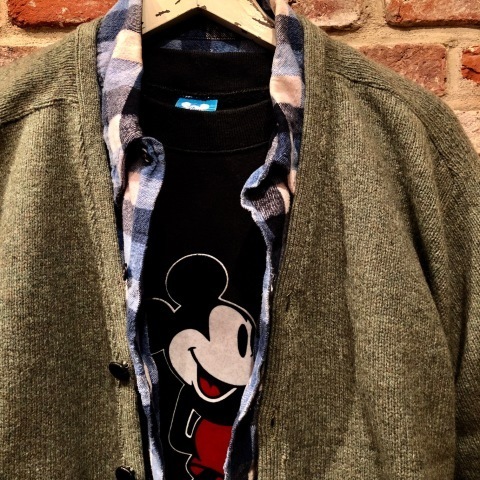 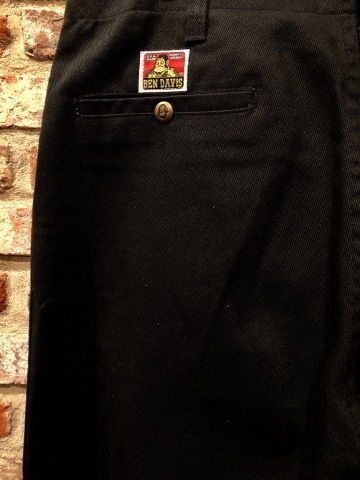 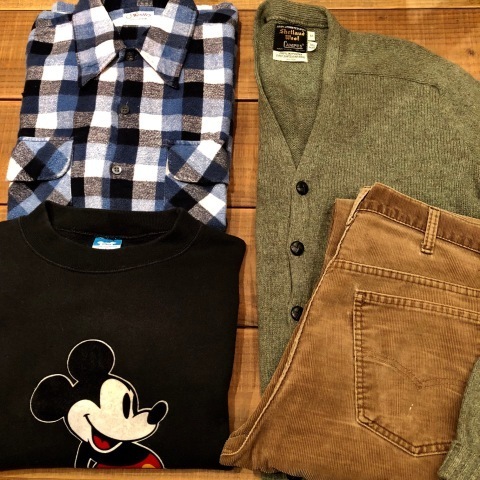 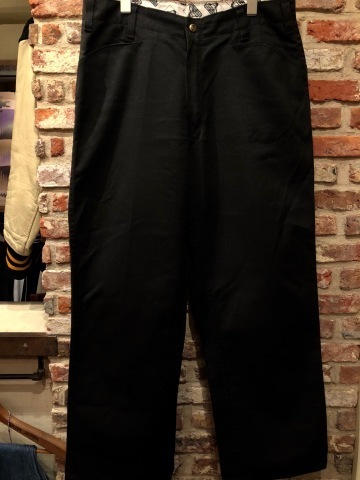 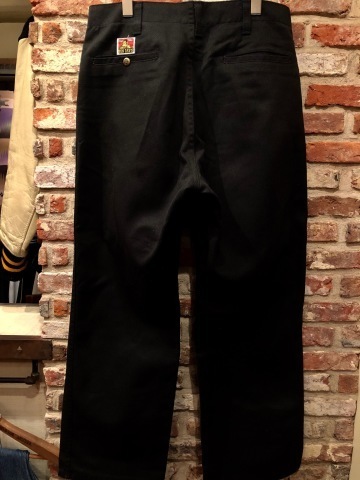 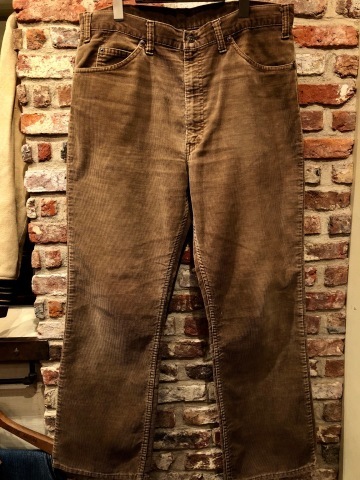 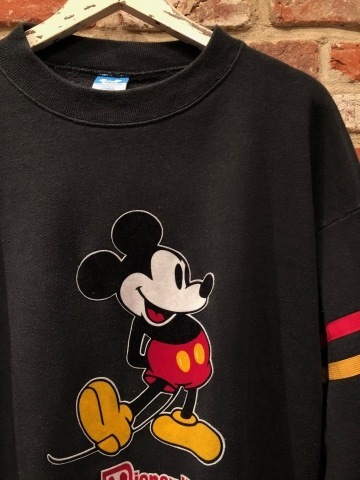 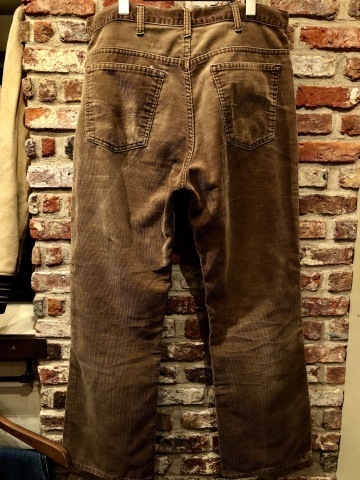 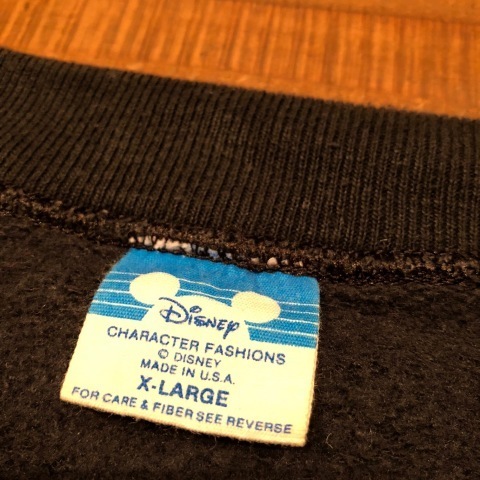 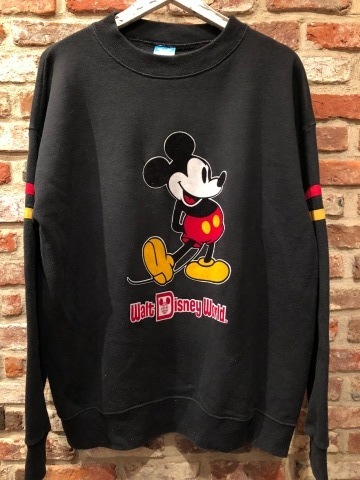 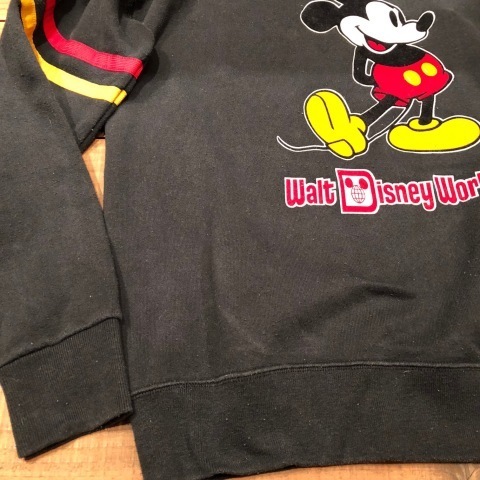 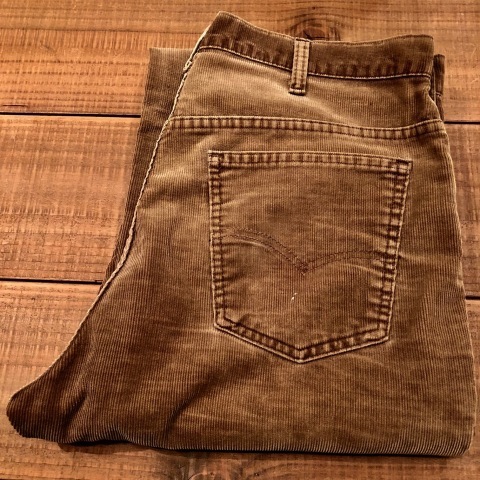 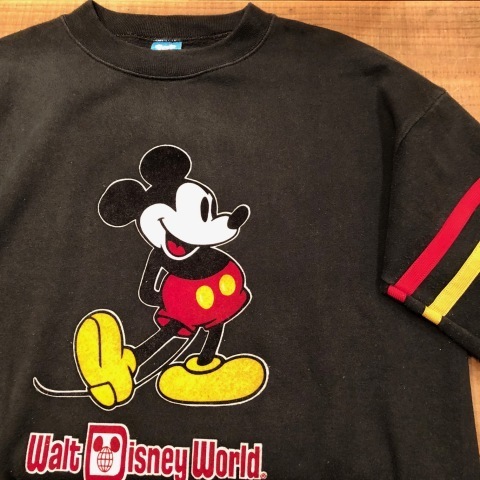 1980s " WALT DISNEY "
サイズ表記 " X - LARGE "
BRAND : 1980s " WALT DISNEY "
BRAND : 1970-80s " Levi's "
- BOOTS CUT LEG - CORDUROY PANTS . 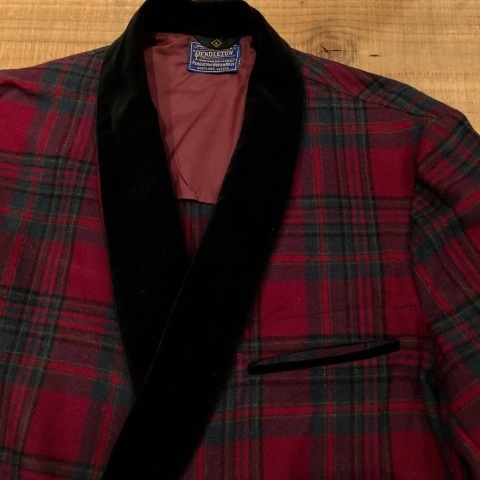 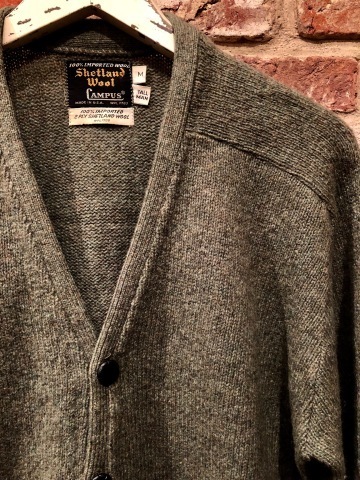 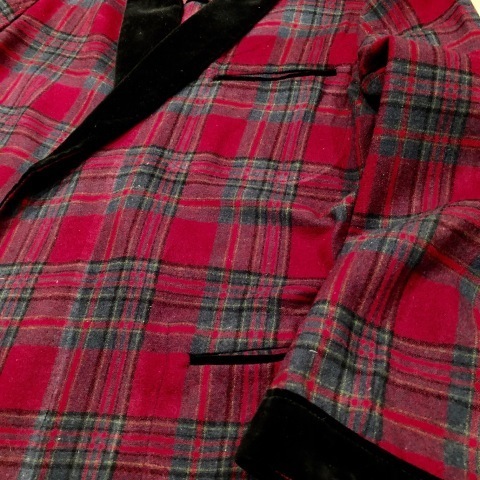 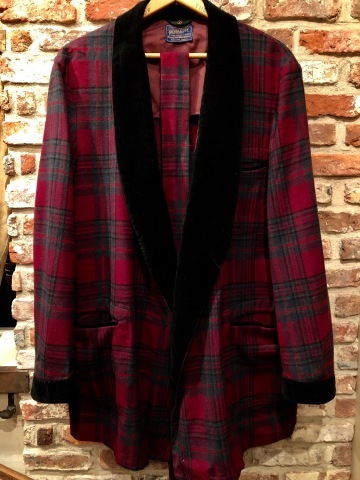 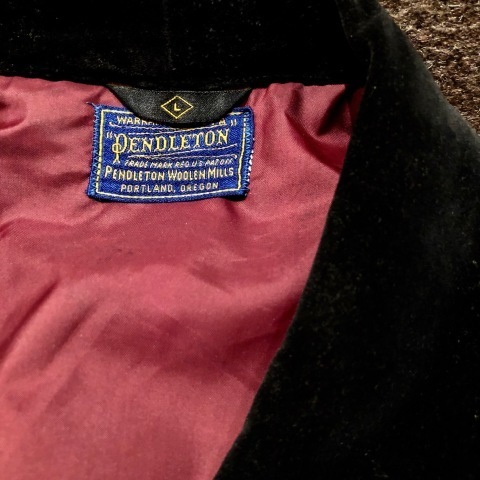 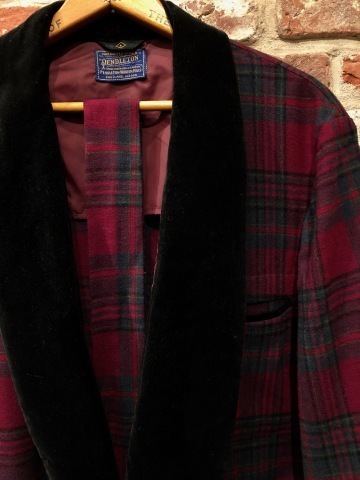 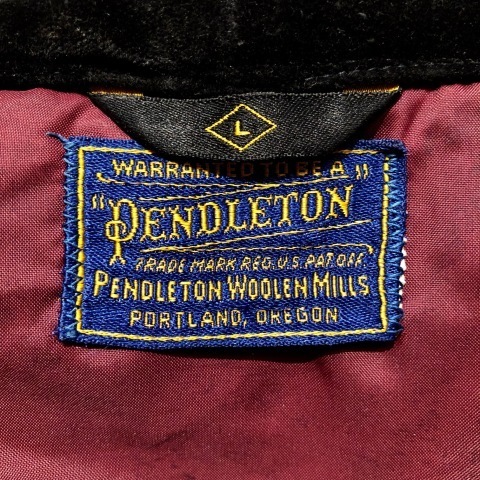 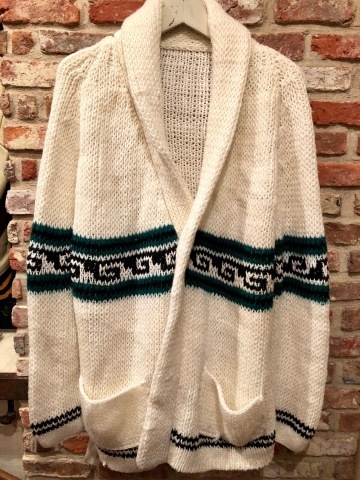 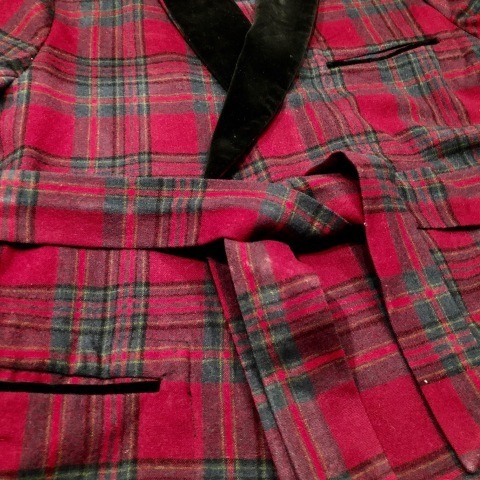 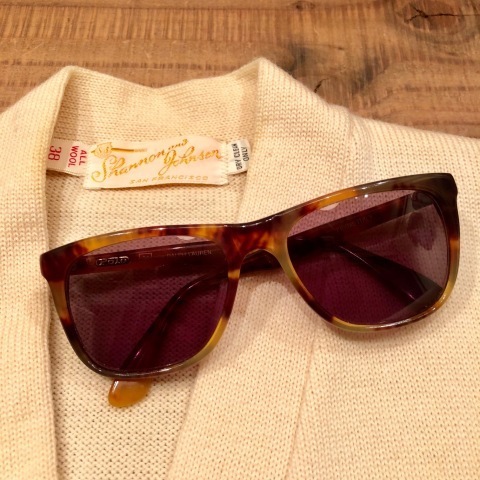 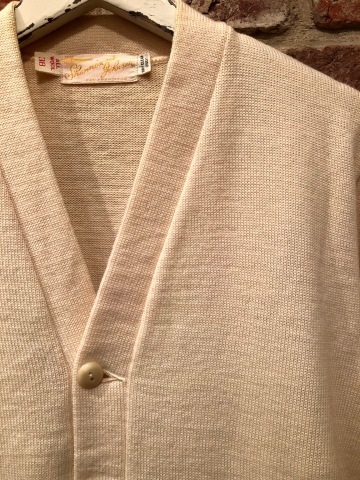 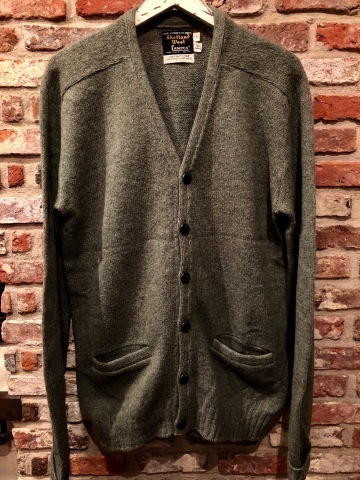 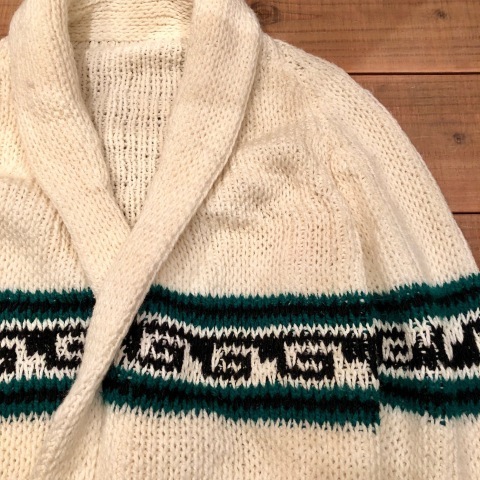 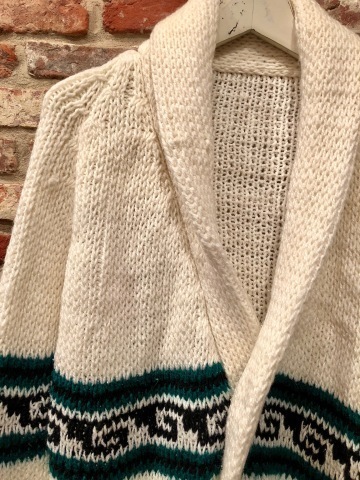 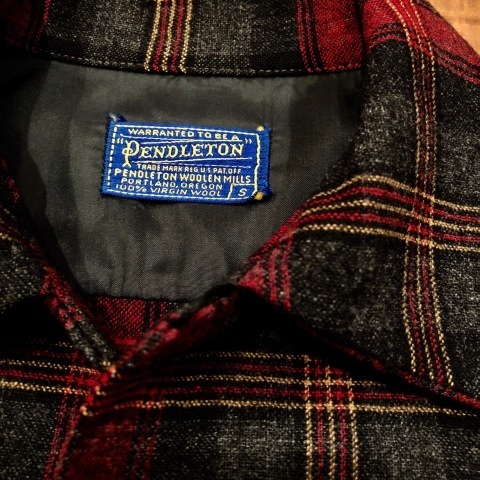 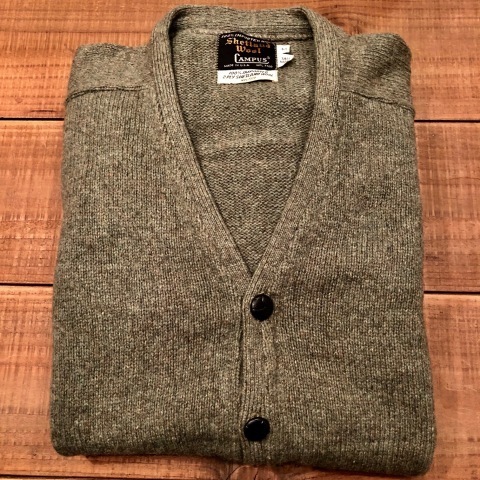 1950s " PENDLETON WOOLEN MILLS "
BRAND : 1950s " PENDLETON WOOLEN MILLS "
VINTAGE SHAWL collar JACKET .
" 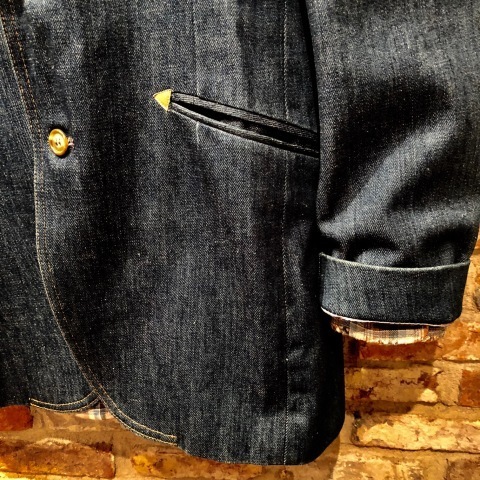 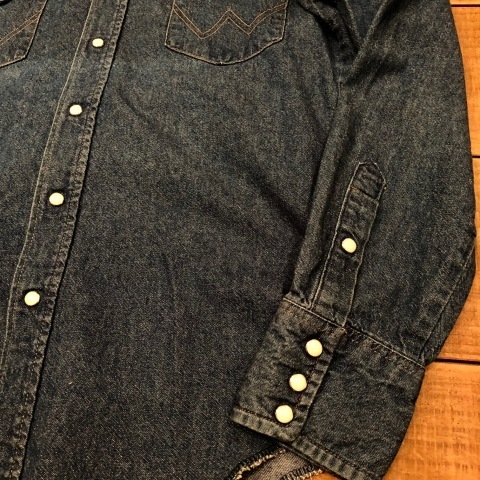 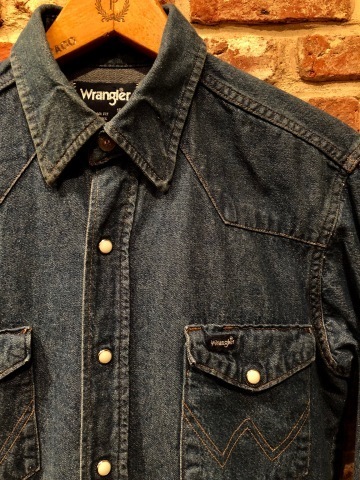 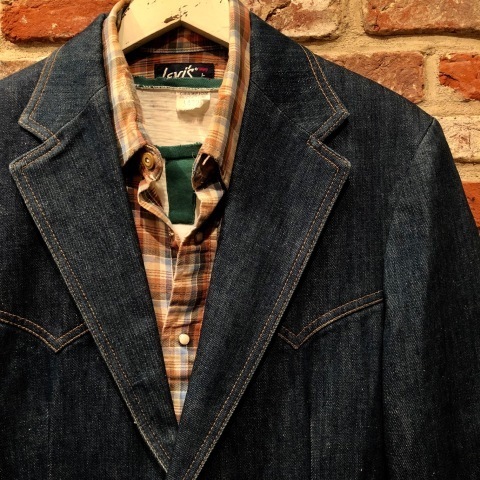 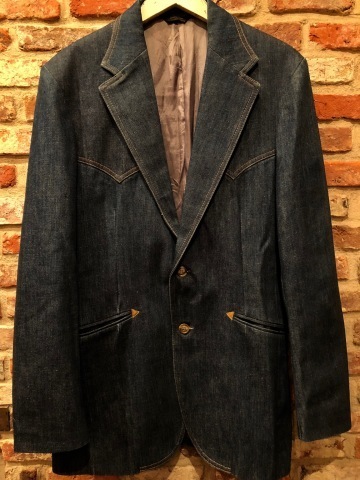 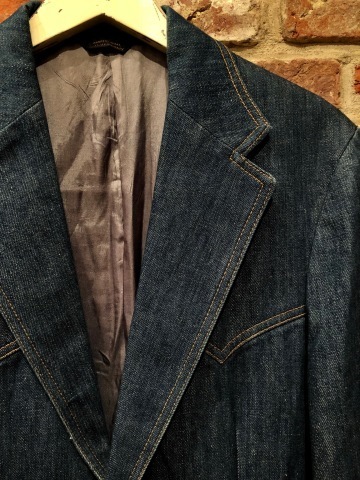 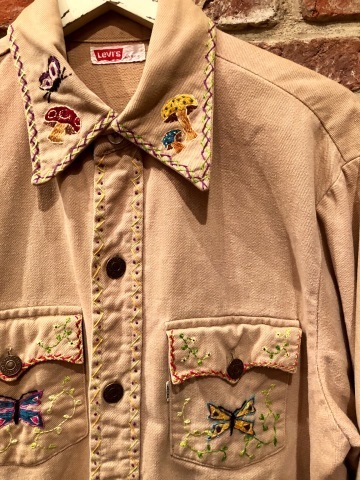 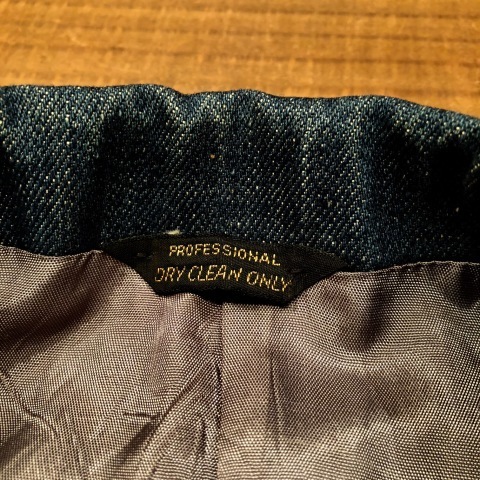 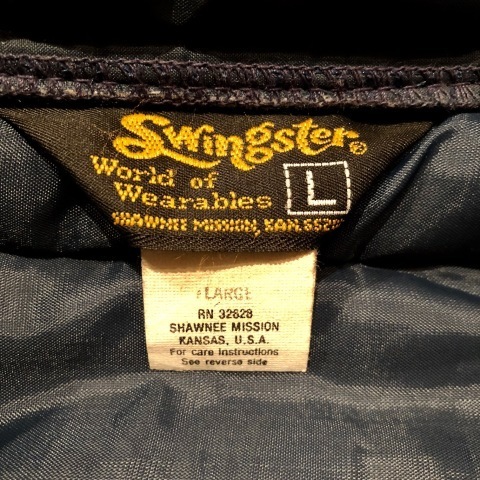 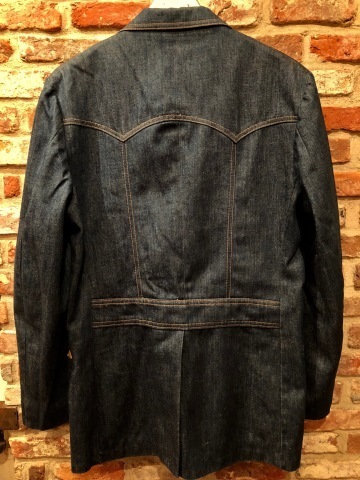 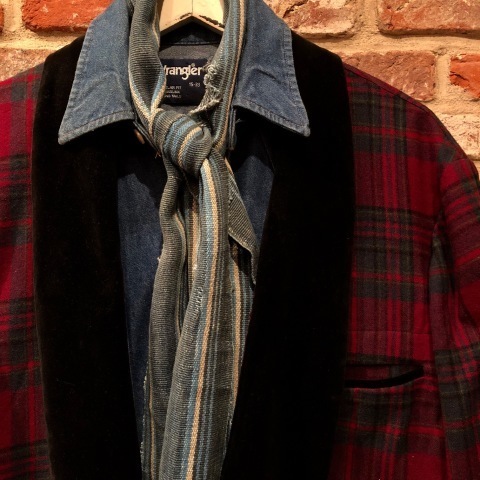 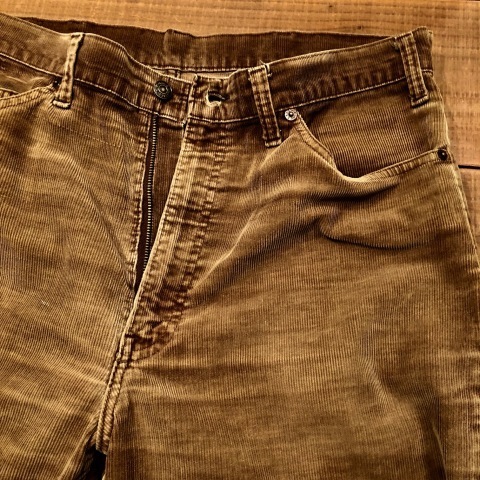 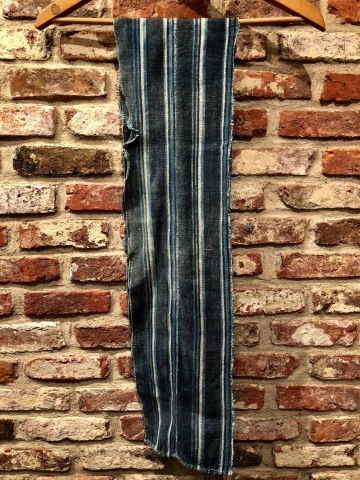 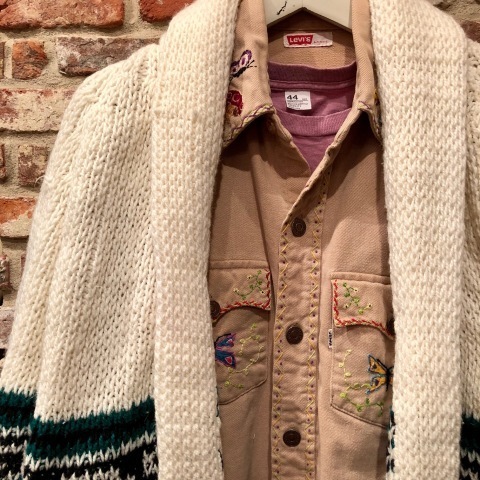 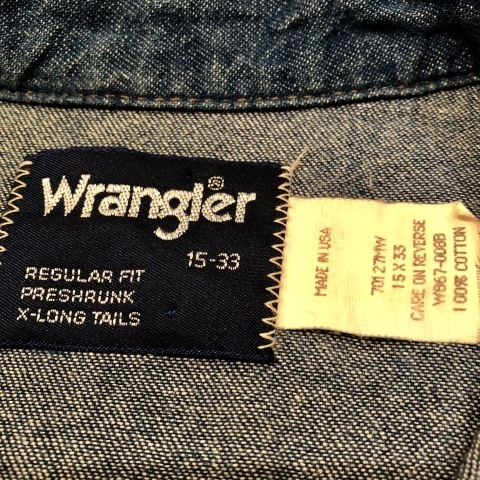 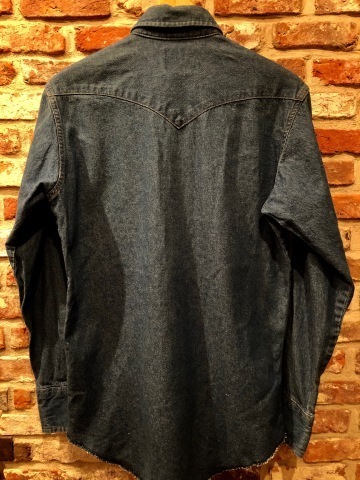 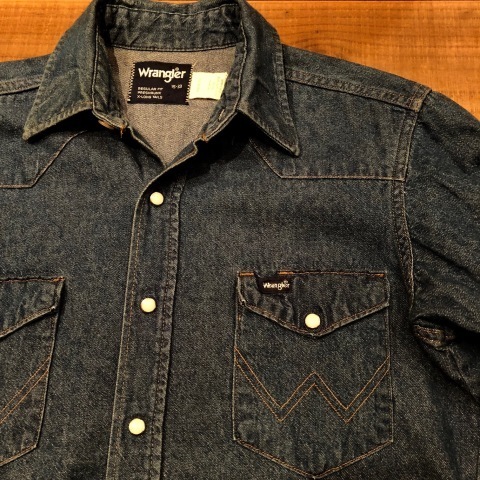 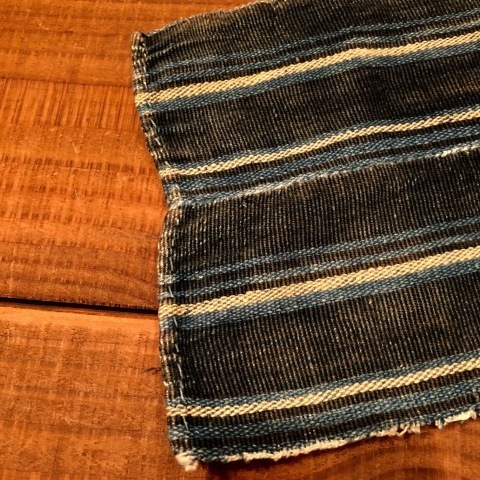 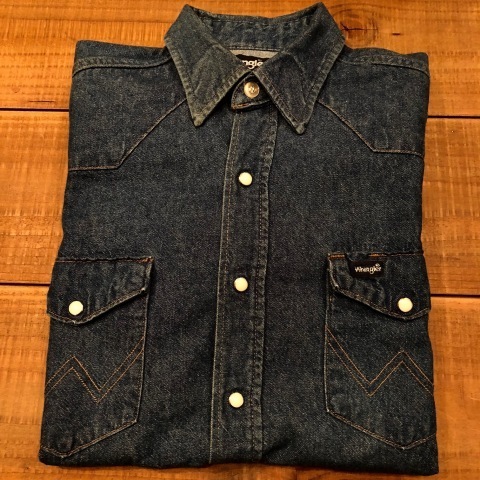 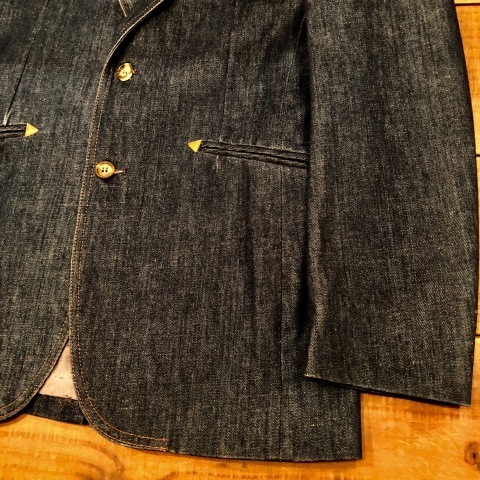 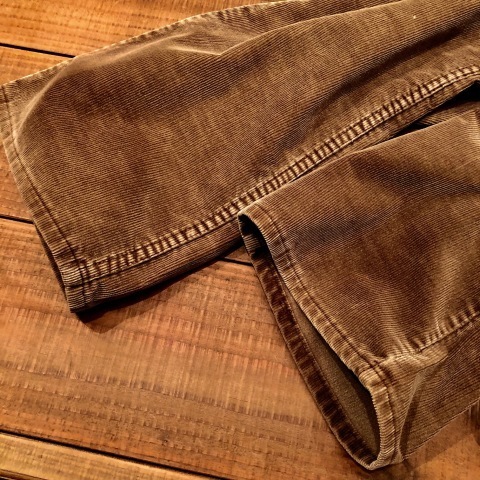 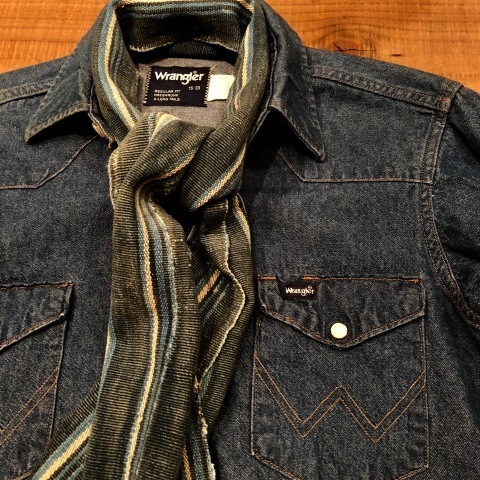 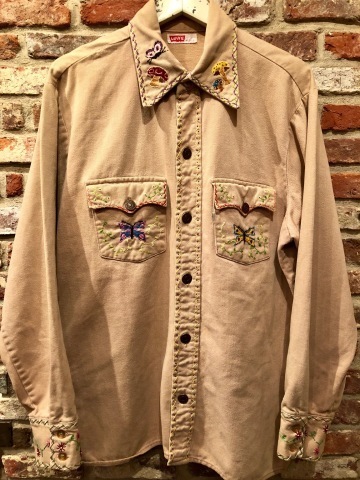 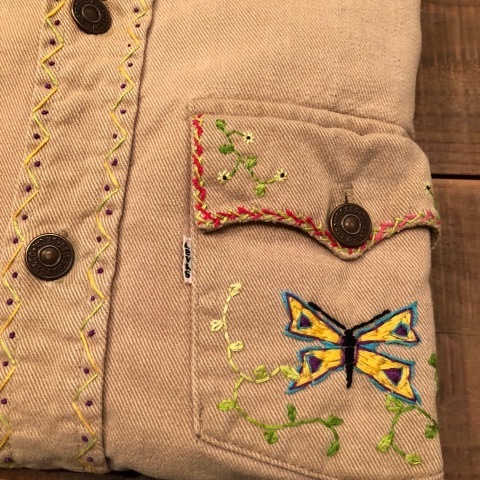 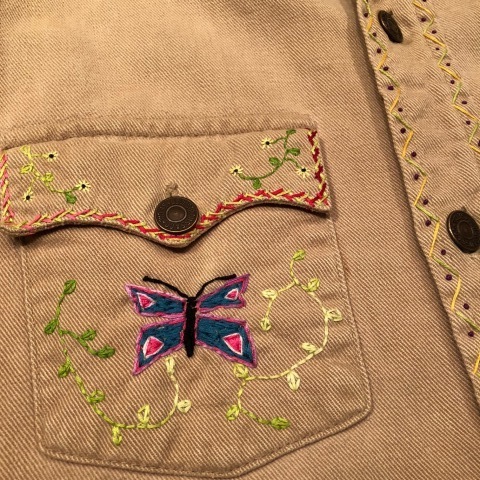 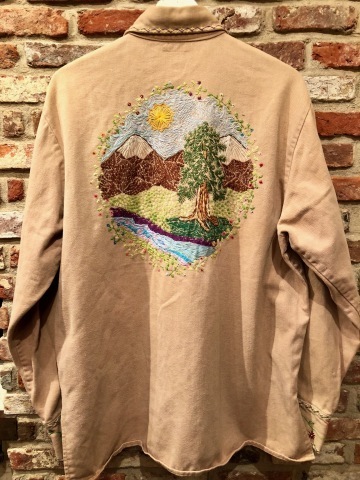 Wrangler - MADE IN U.S.A - "
" デニム の 風合い "
BRAND : 1980s " Wrangler "
Vintage DENIM WESTERN SHIRTS . 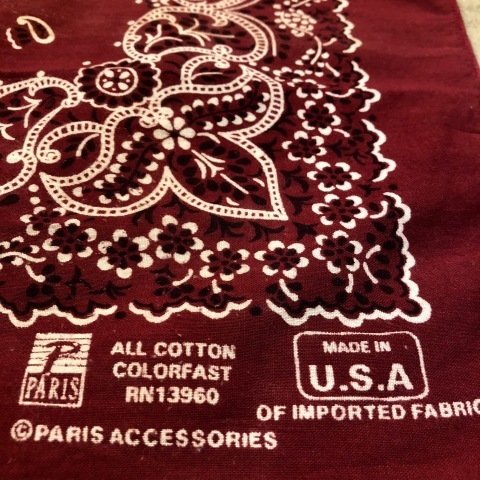 1910-20s " AFRICAN MALI "
BRAND : 1910-20s " AFRICAN MALI "
HAND MADE by African MALI .
" 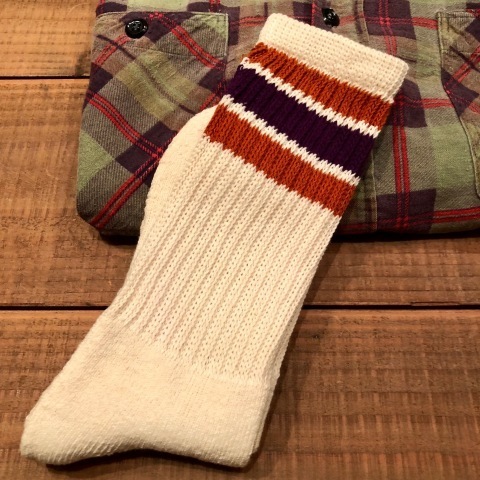 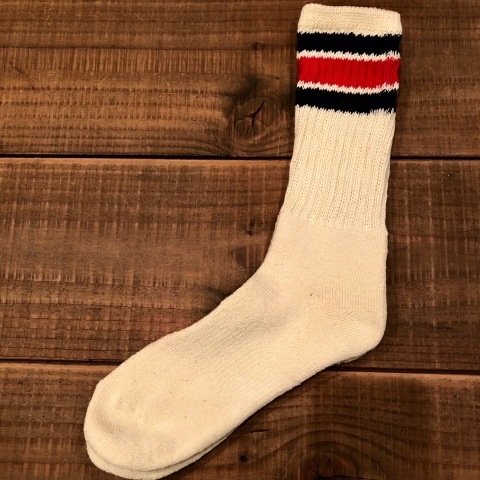 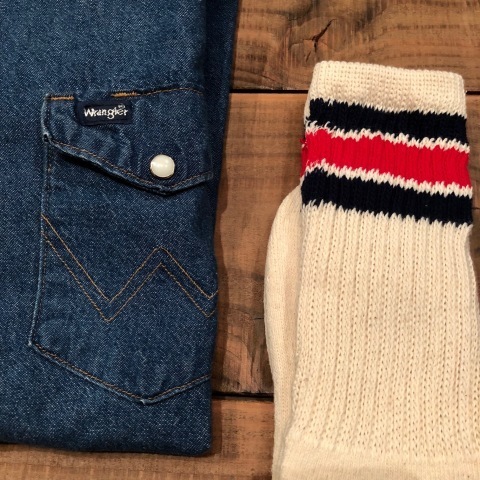 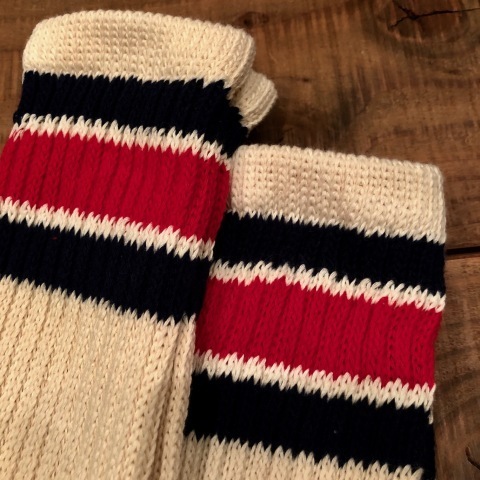 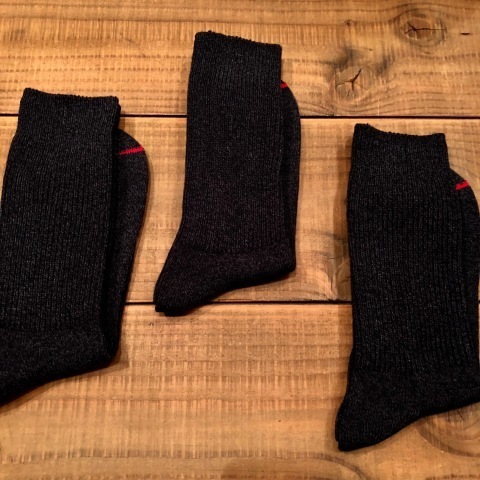 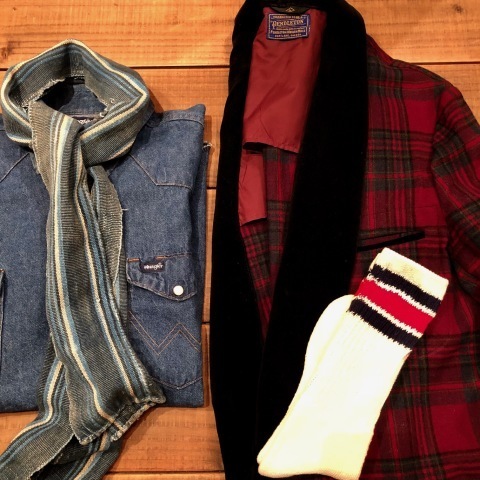 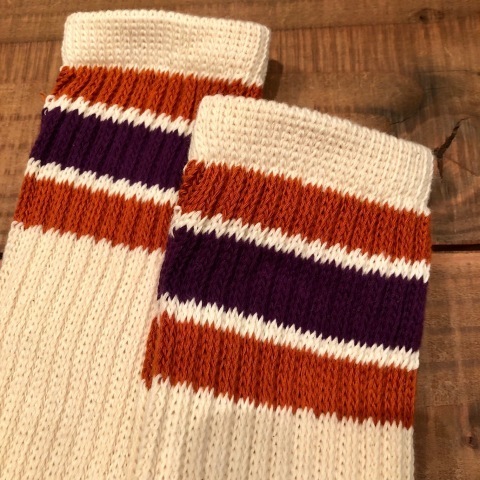 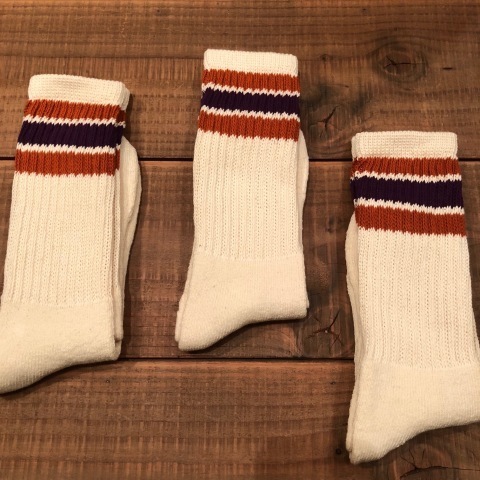 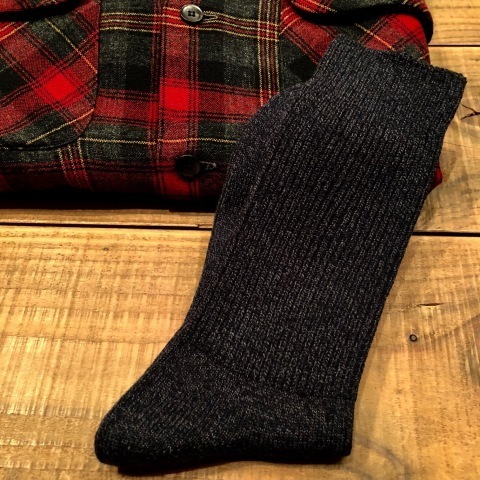 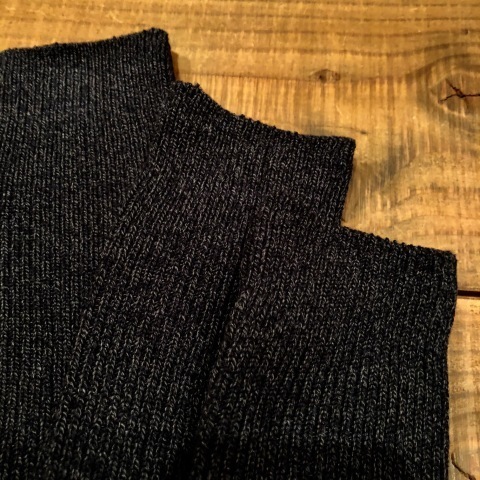 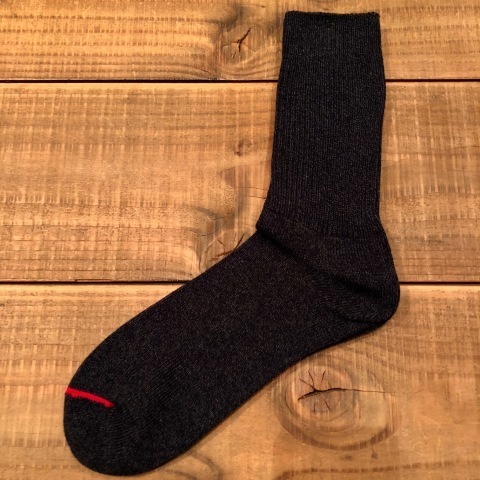 COL : NAVY × RED "
OUTDOOR cotton LINE SOCKS . 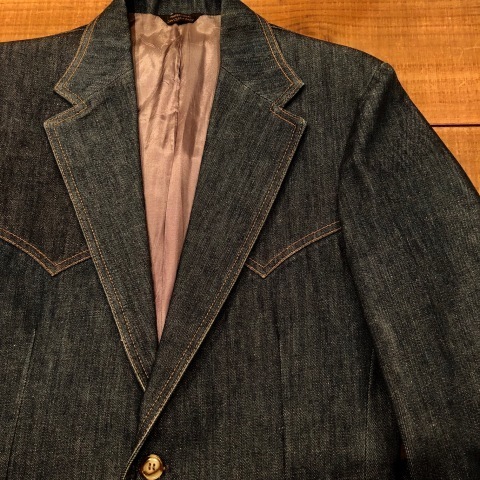 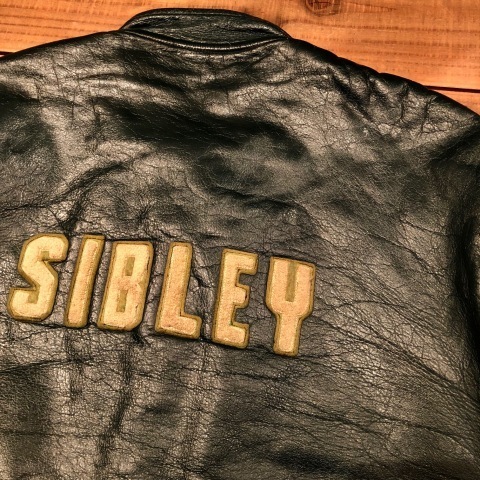 BRAND : 1970s " UNKNOWN "
1970-80s " J.C Penney "
" 色調 や 質感 "
BRAND : 1970-80s " J.C Penney "
" BRUSHED TWILL " SH JACKET . 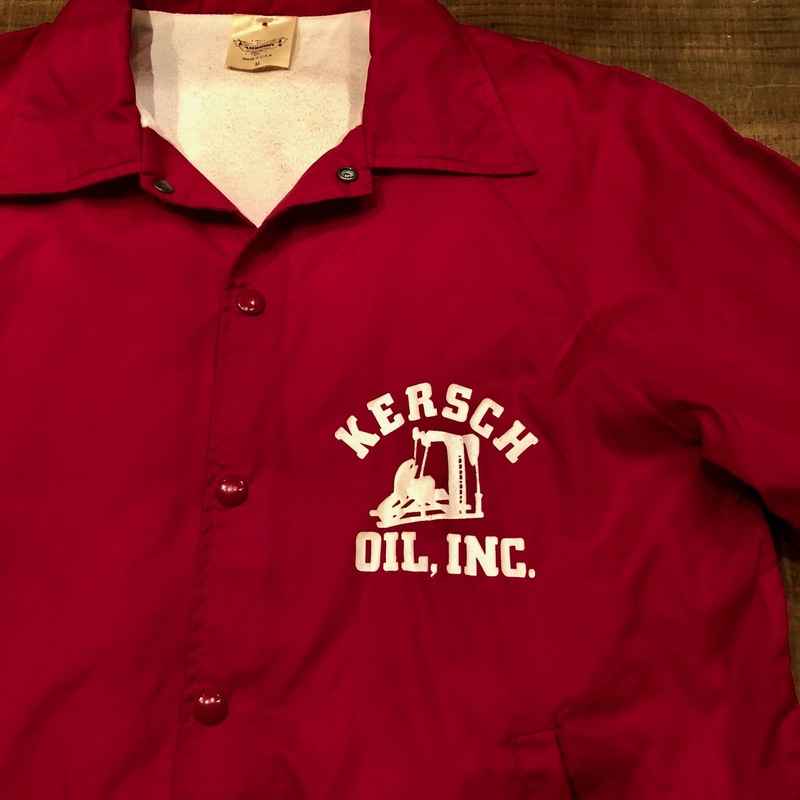 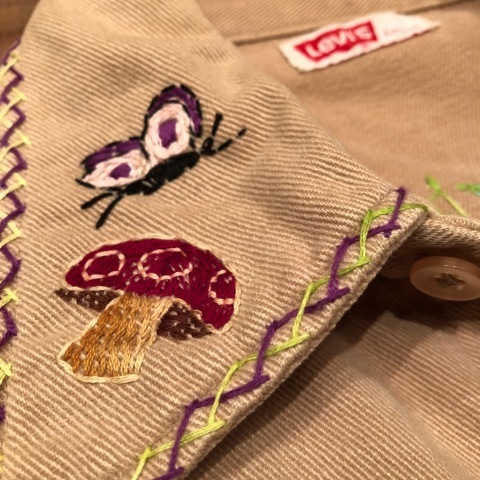 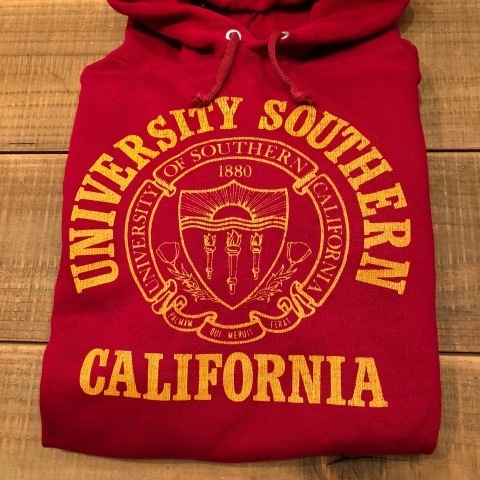 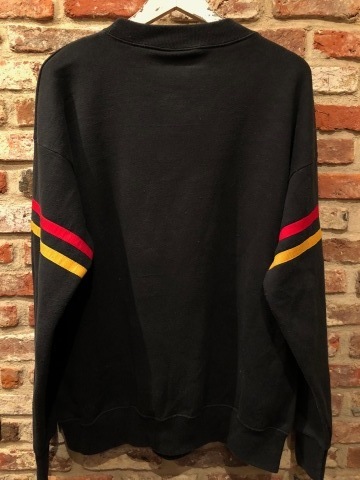 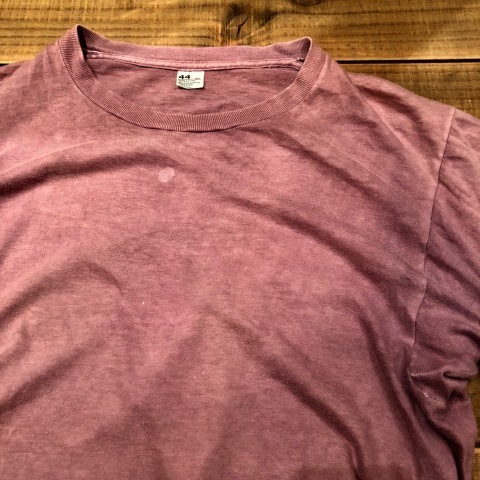 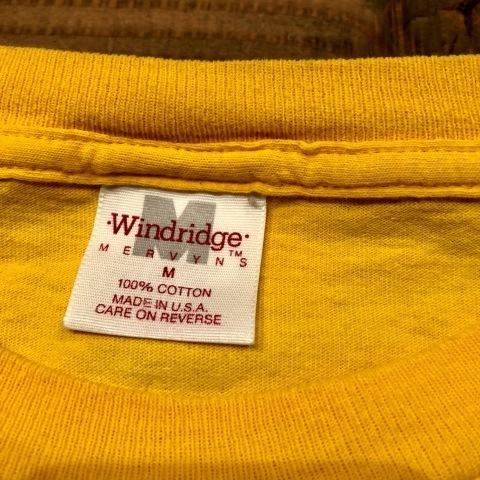 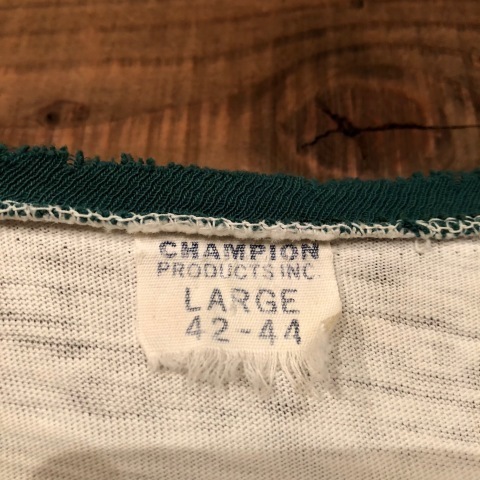 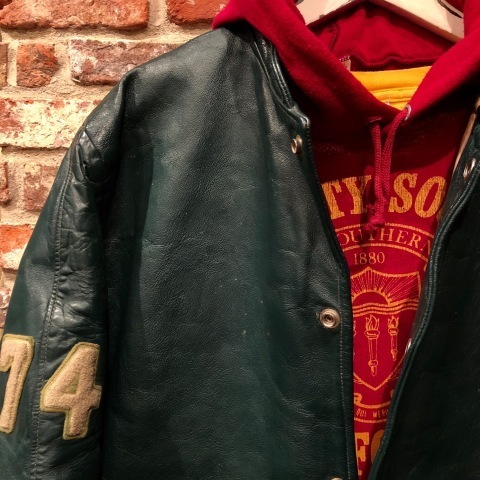 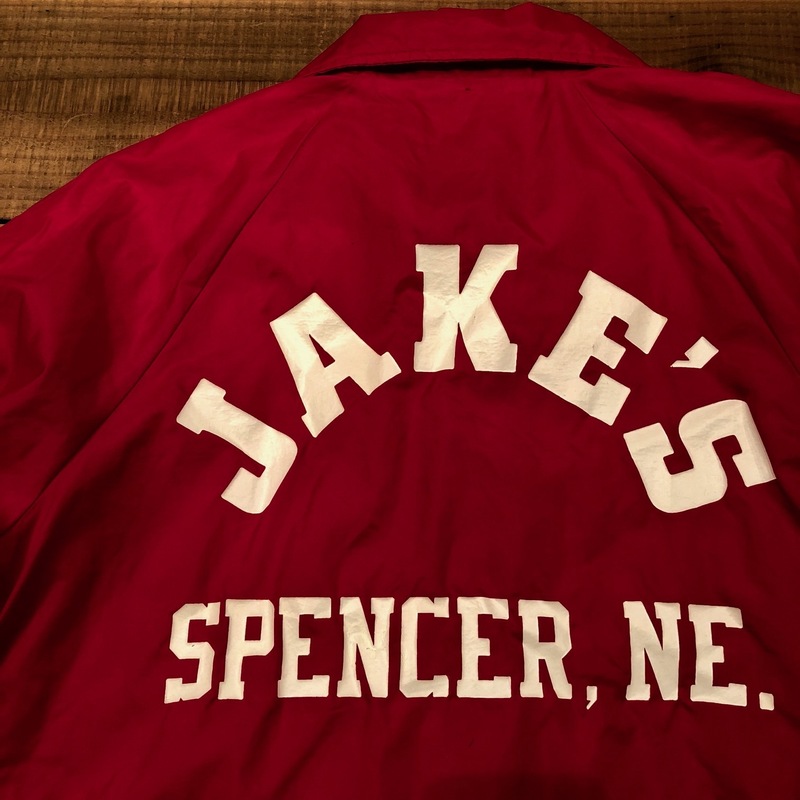 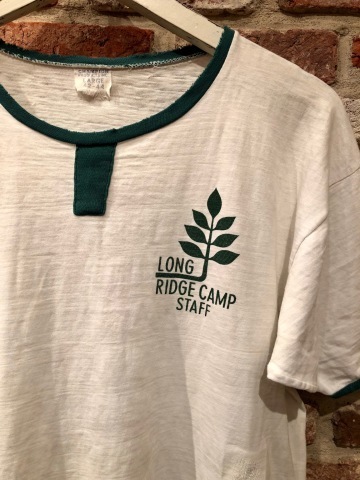 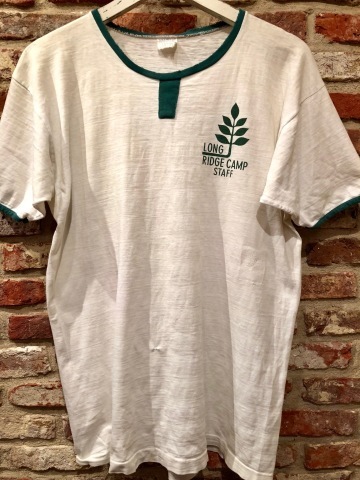 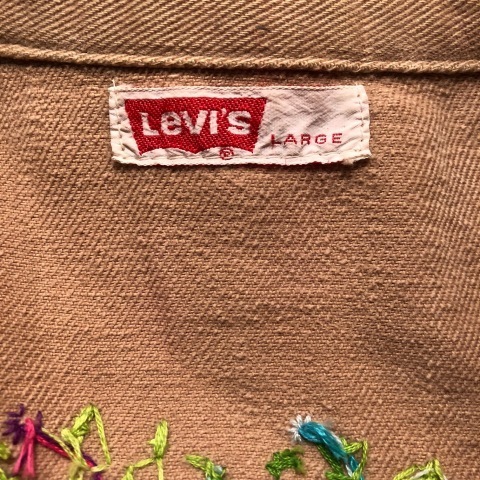 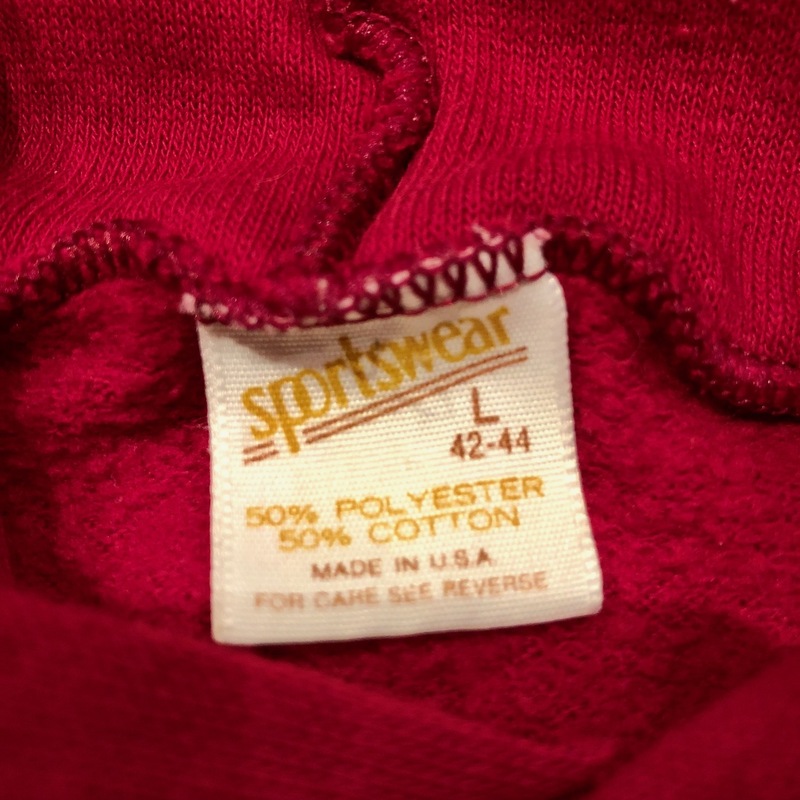 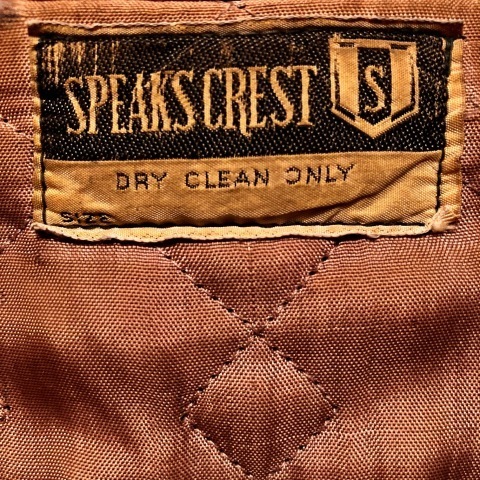 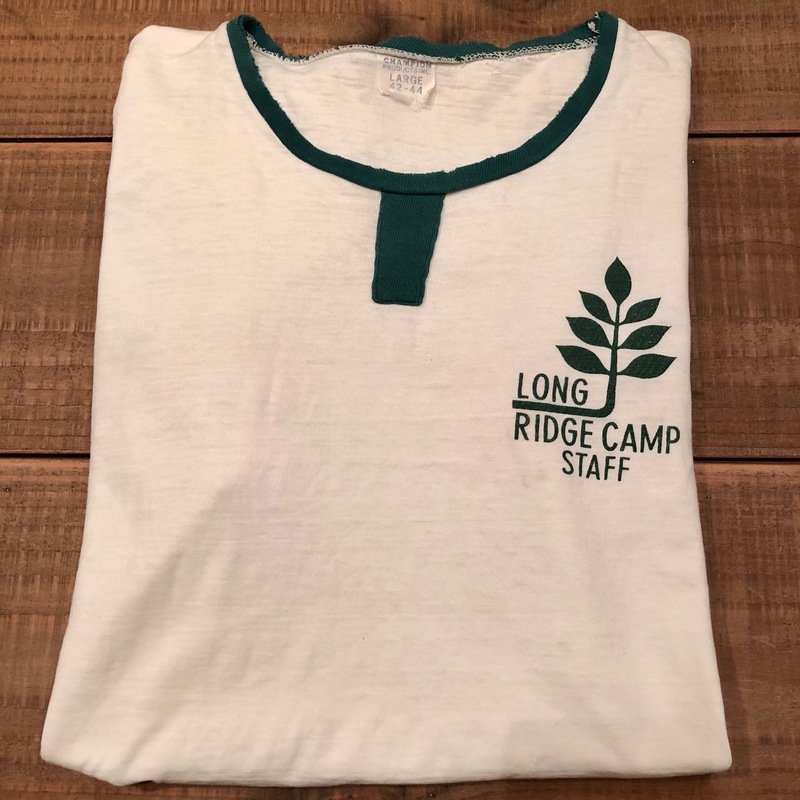 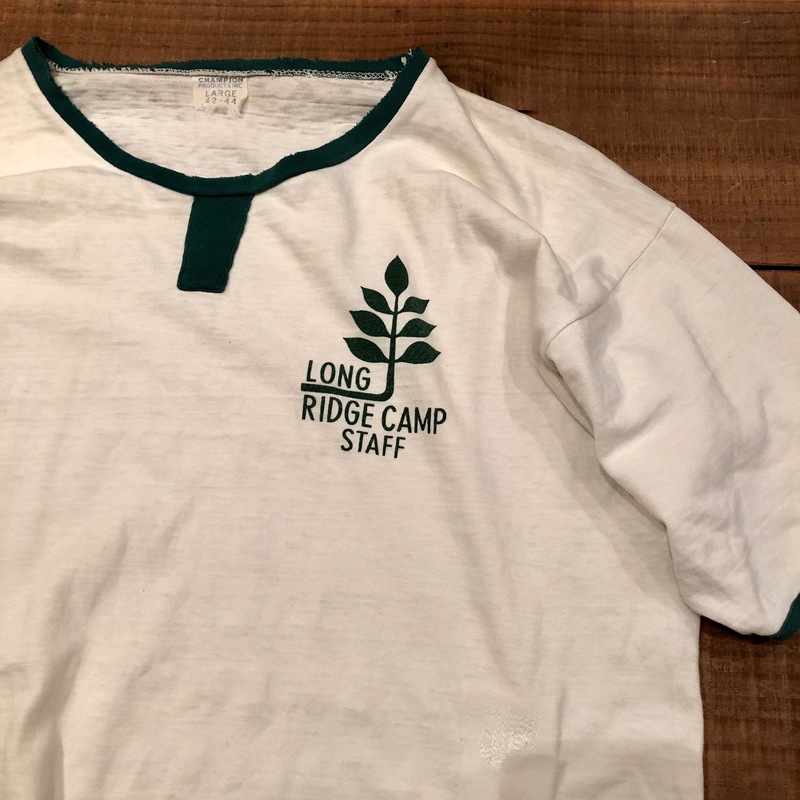 1970s " SPEAKS CREST "
BRAND : 1970s " SPEAKS CREST "
1970s " SPORTS WEAR "
BRAND : 1970s " SPORTS WEAR "
Early 1980s " MERVYN'S "
BRAND : Early 1980s " MERVYN'S "
1970s " Levi's - PANATELA sports wear - "
" リーバイス - PANATELA sports wear - "
" Levi's -PANATELA sports wear- "
1960s " CHAMPION PRODUCTS INC . "
" CHAMPION PRODUCTS INC . "
BRAND : 1960s " CHAMPION PRODUCTS INC . "
VINTAGE RINGER Tee SHIRTS . 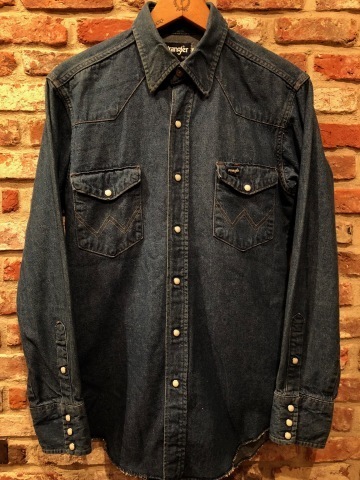 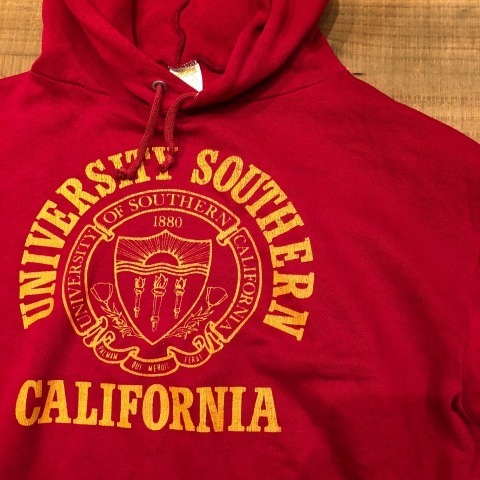 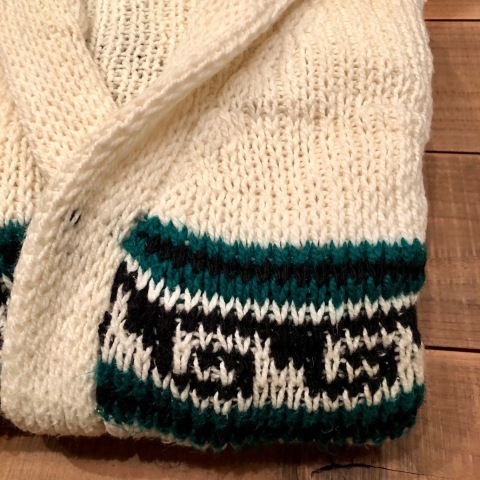 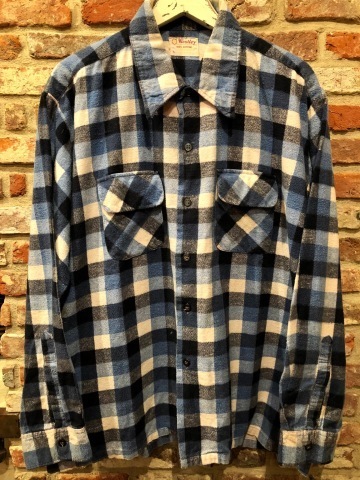 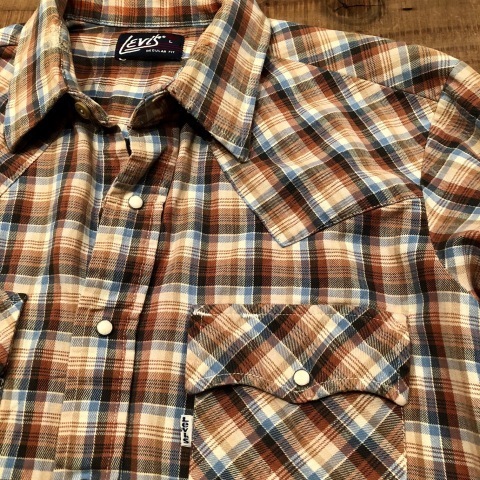 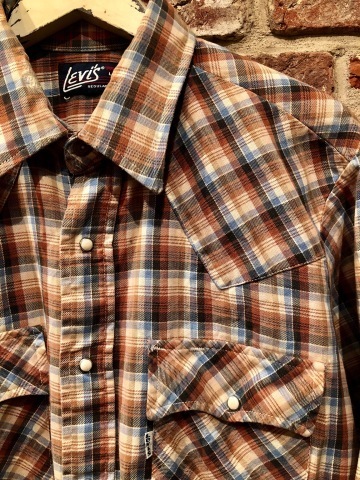 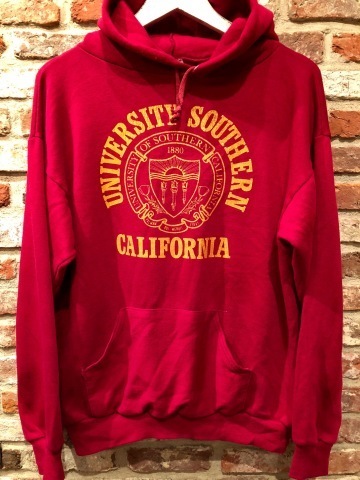 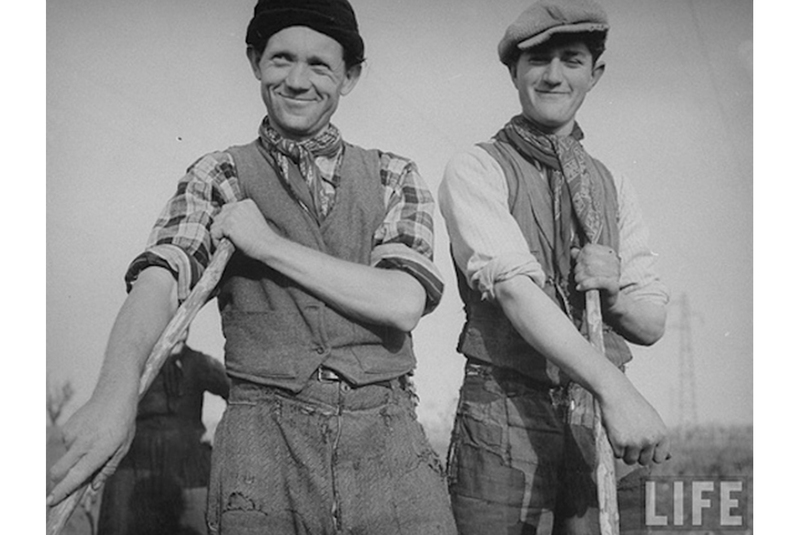 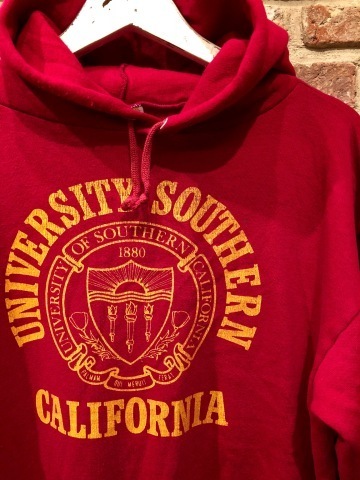 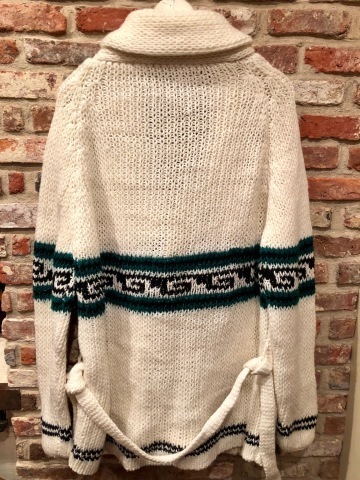 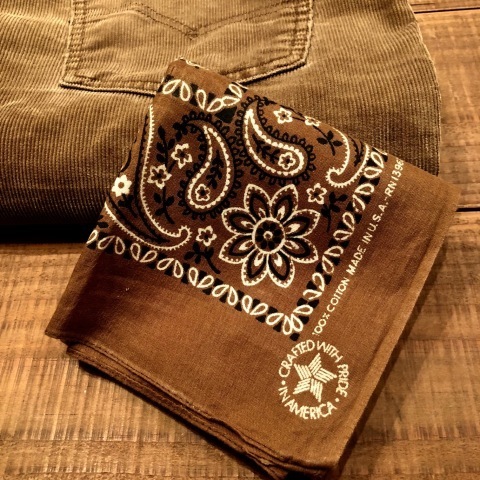 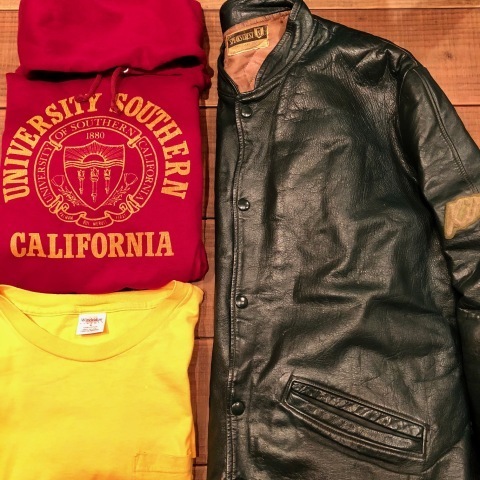 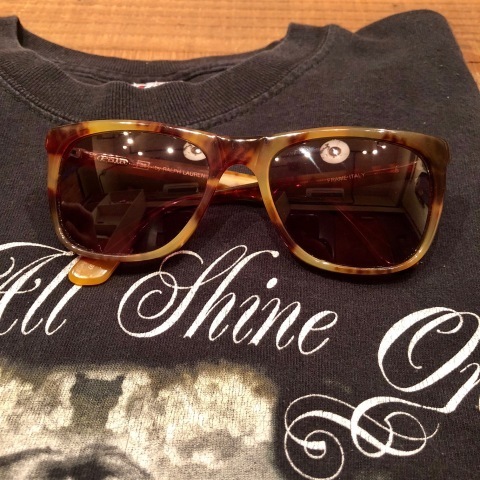 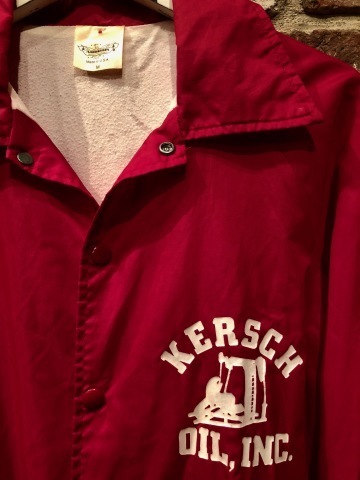 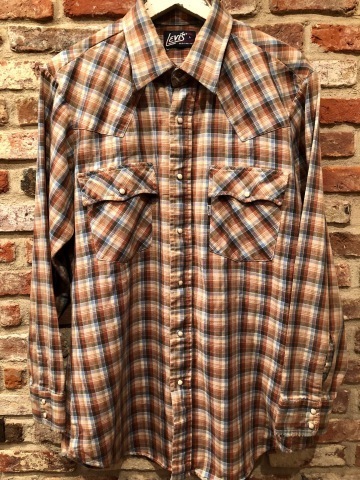 - CHECK - WESTERN SHIRTS .
" 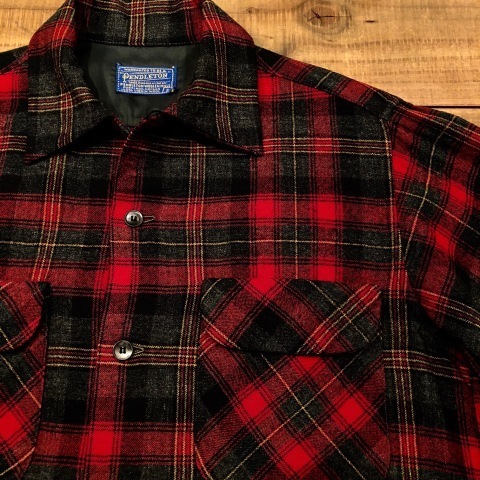 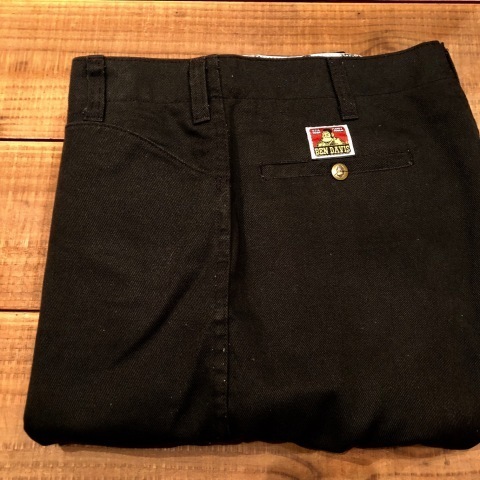 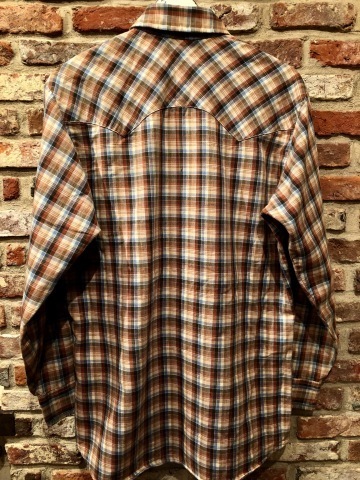 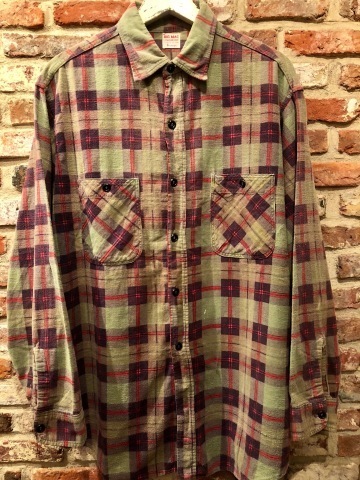 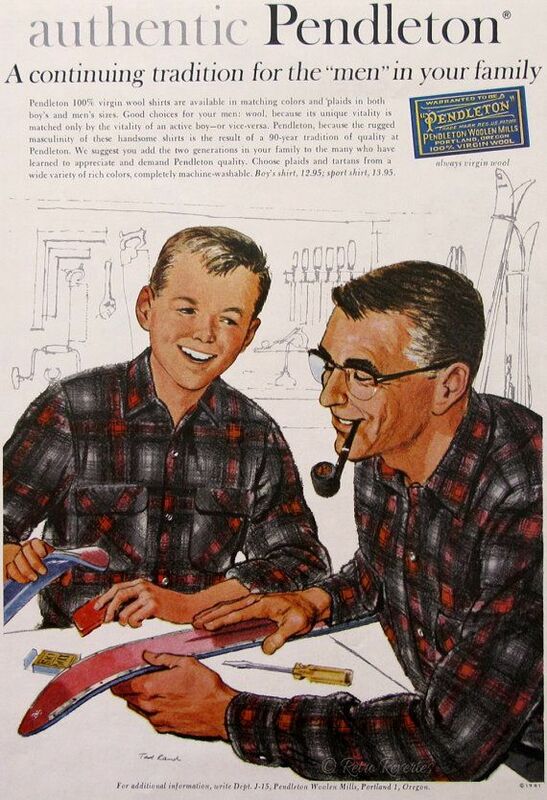 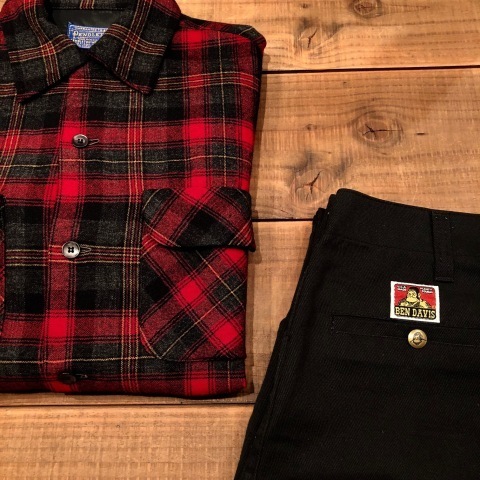 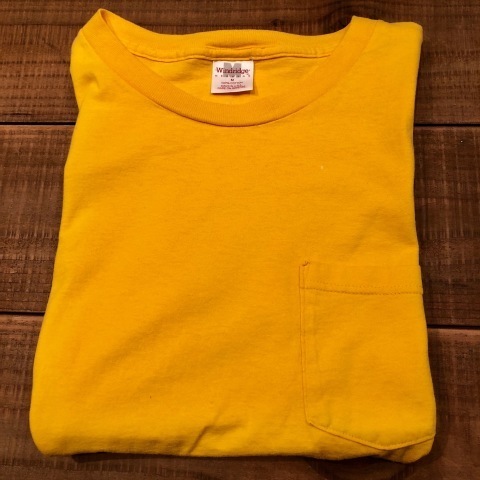 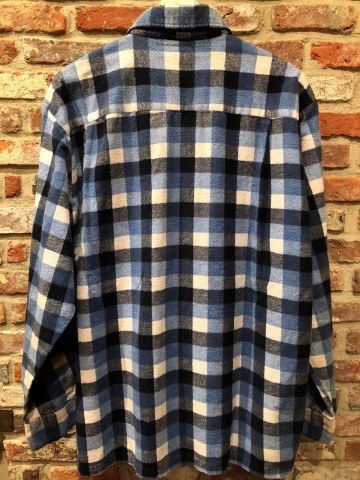 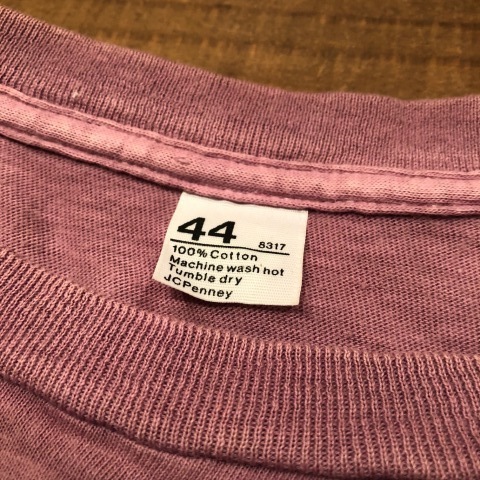 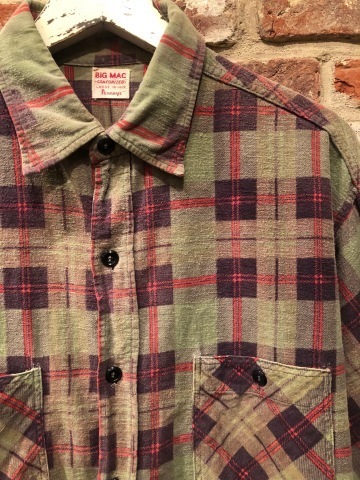 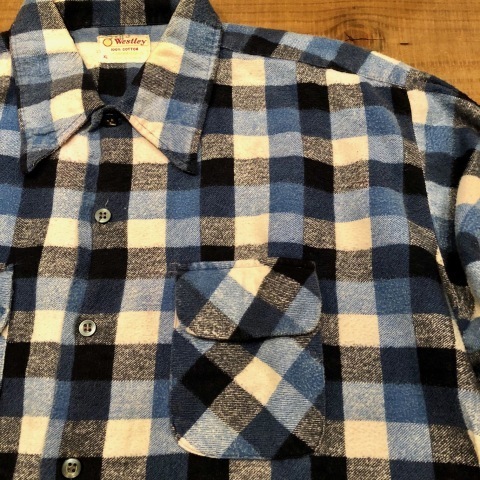 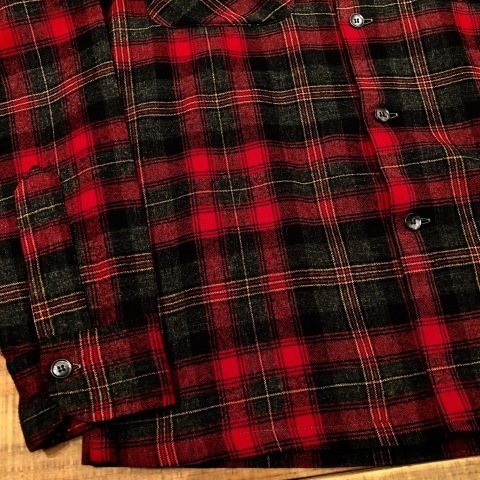 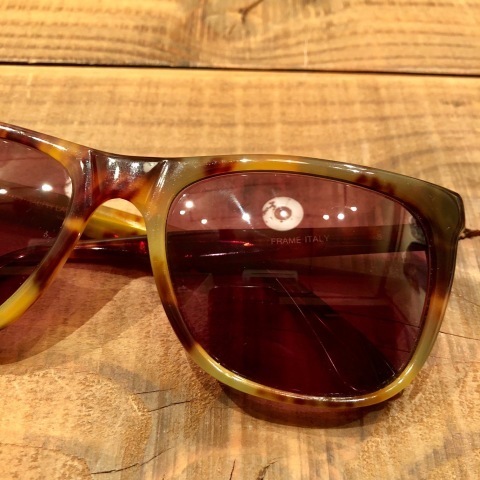 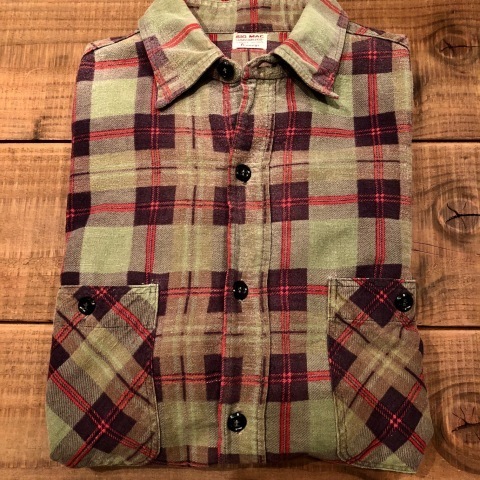 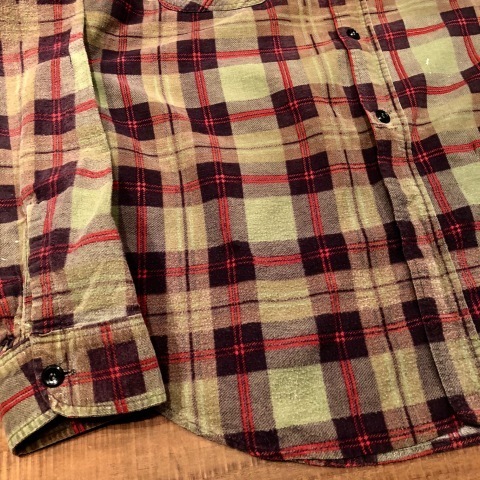 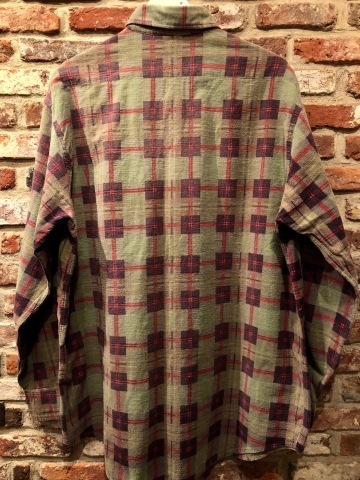 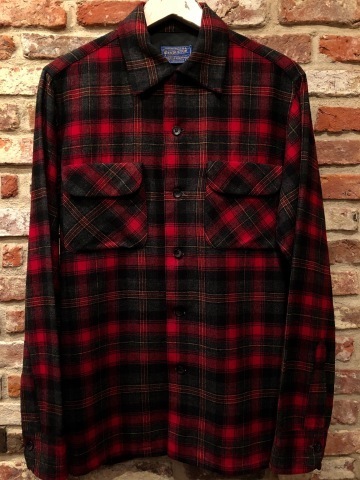 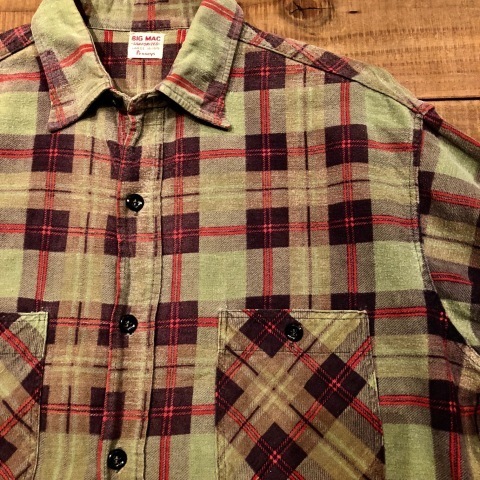 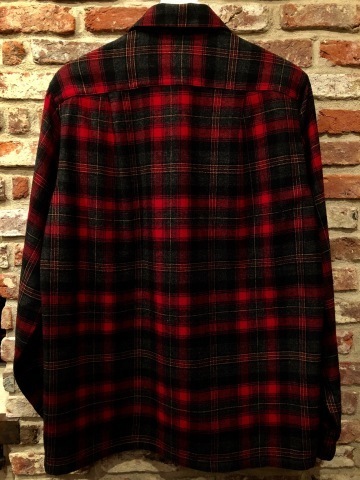 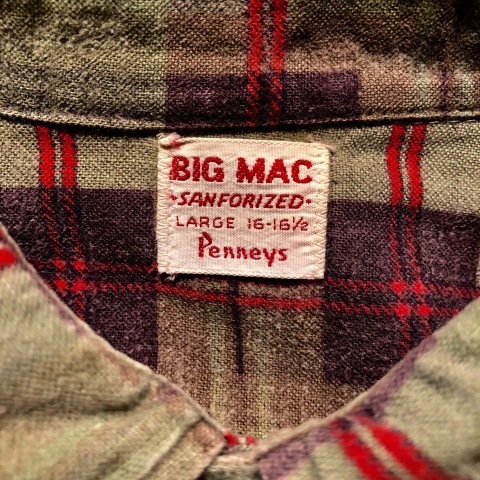 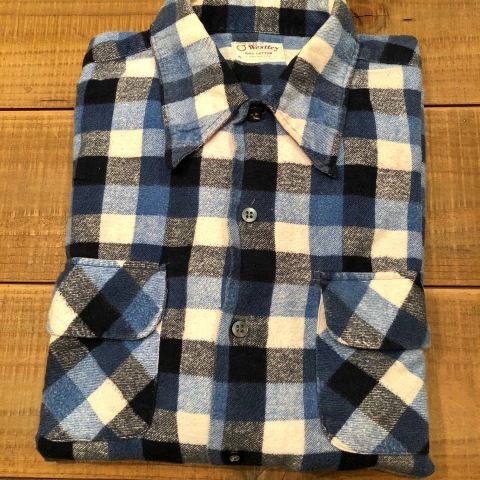 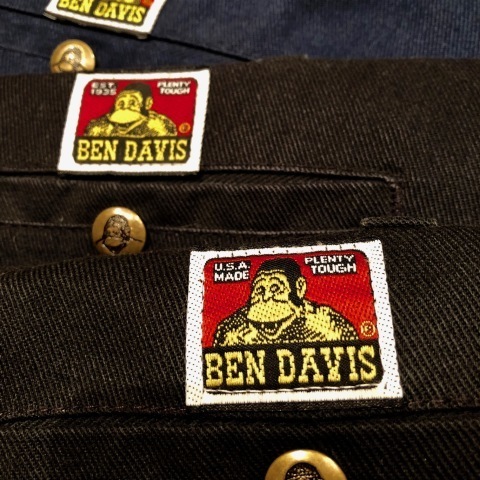 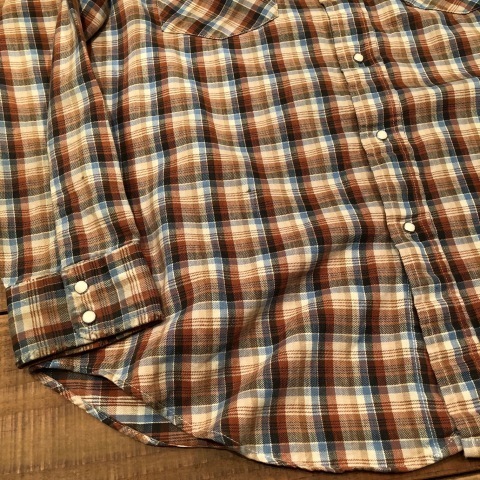 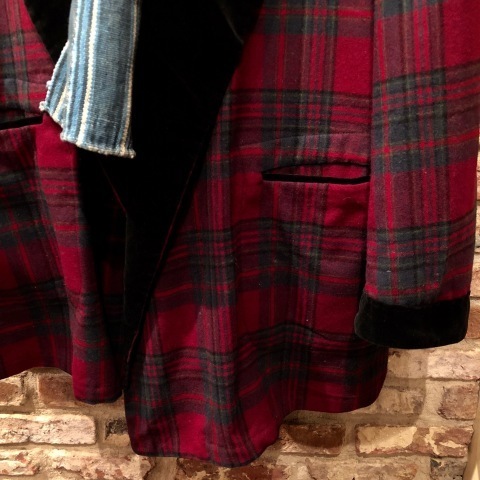 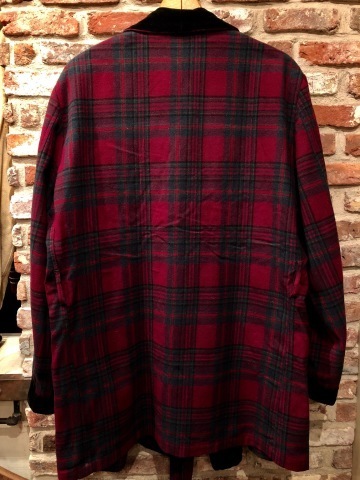 くもり のち 晴れ "
1960s " BIG MAC - SANFORIZED - "
ぺニーズ " BIG MAC "
BRAND : 1960s " BIG MAC - SANFORIZED - "
VINTAGE Light FLANNEL SHIRTS . 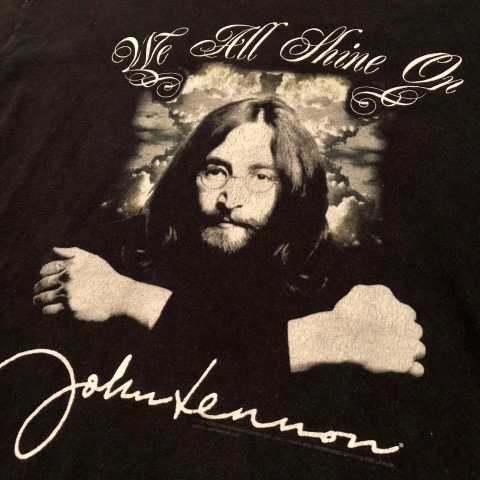 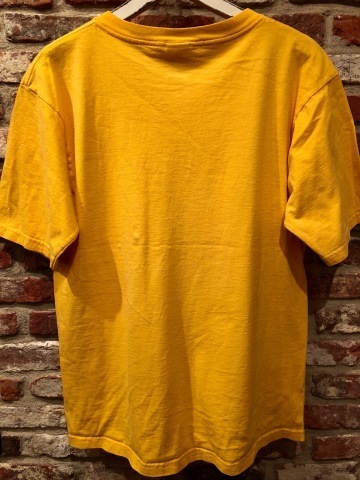 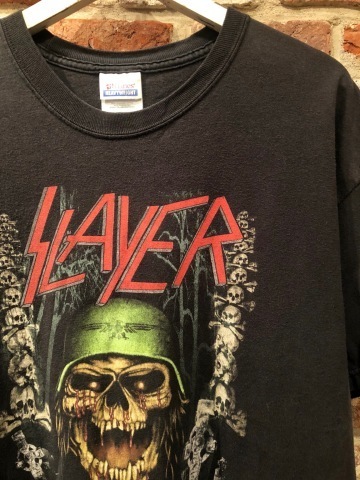 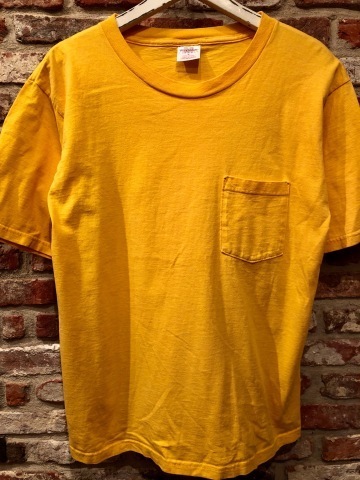 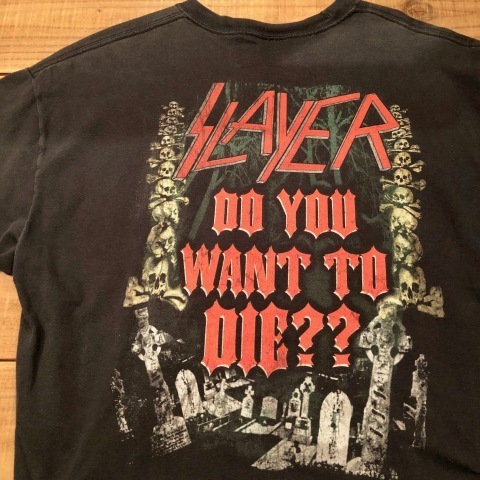 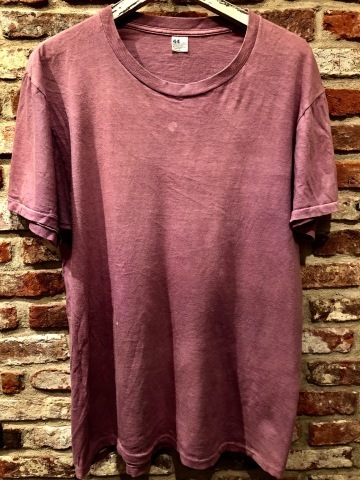 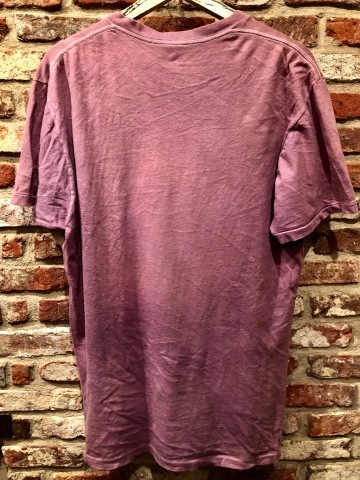 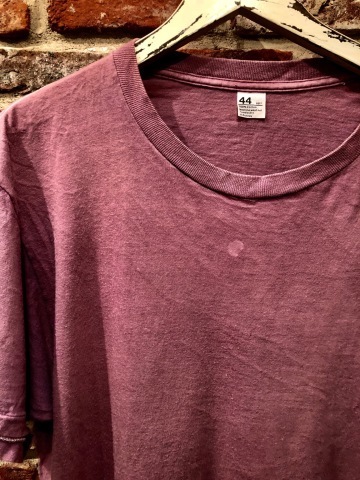 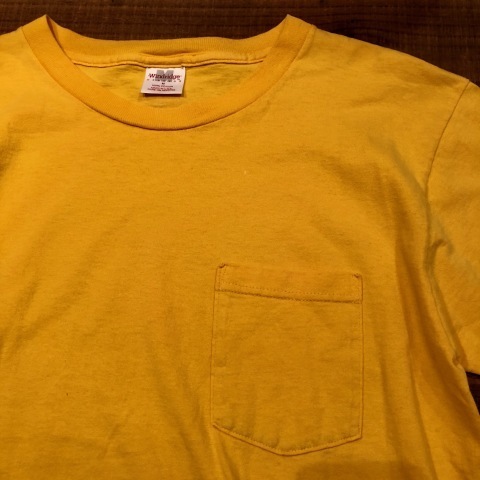 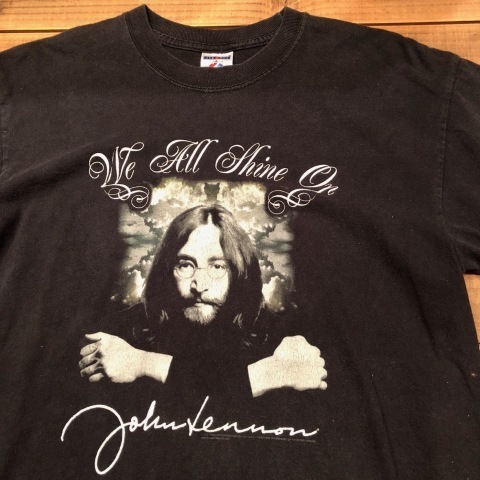 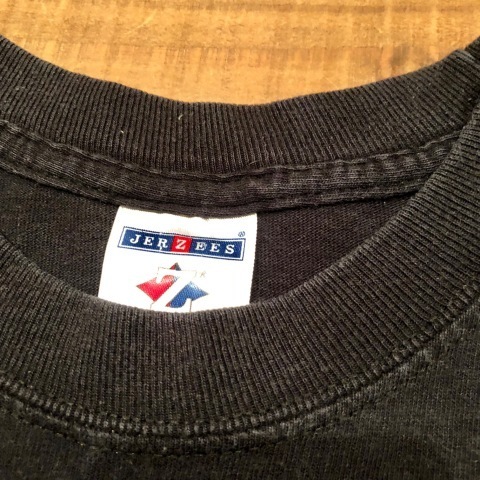 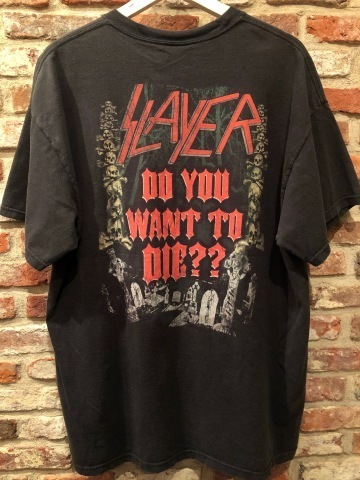 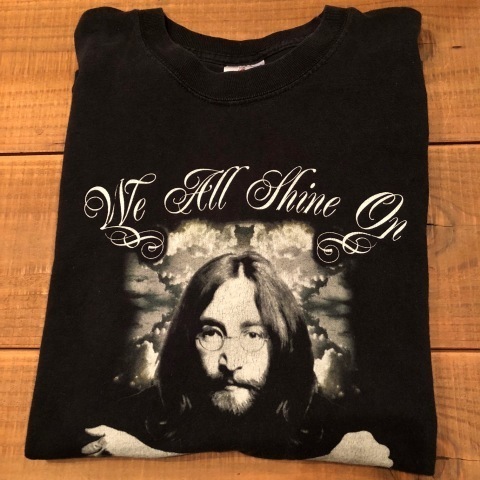 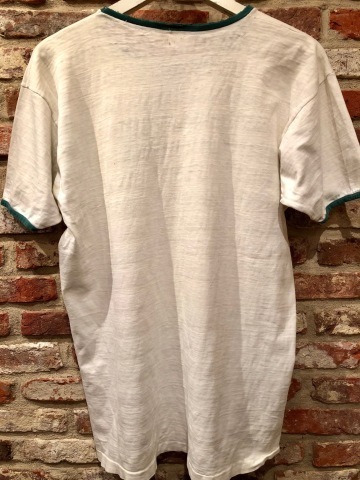 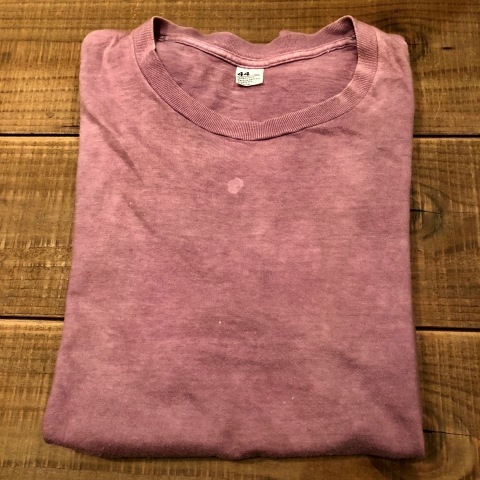 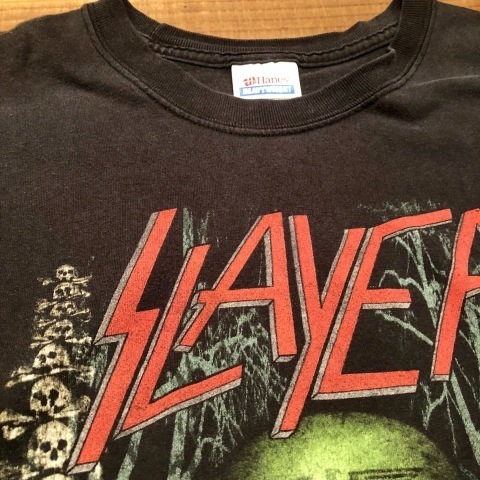 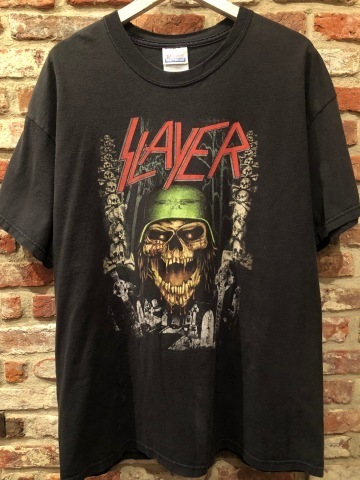 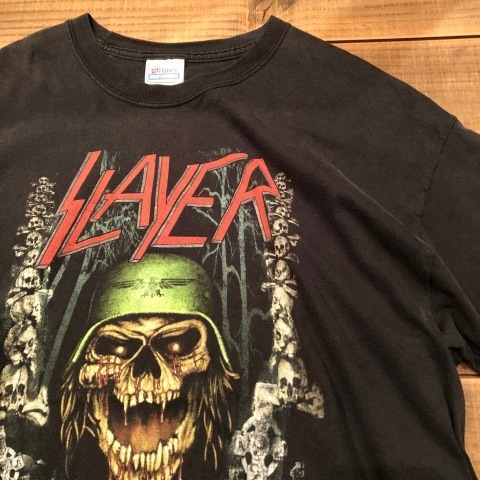 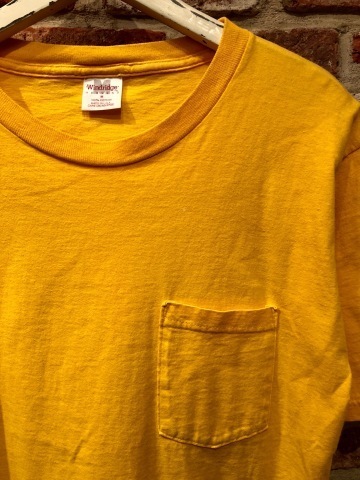 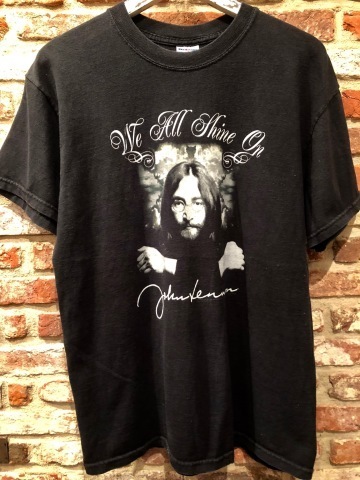 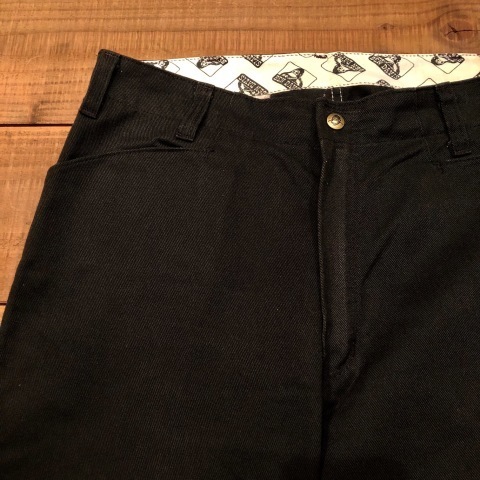 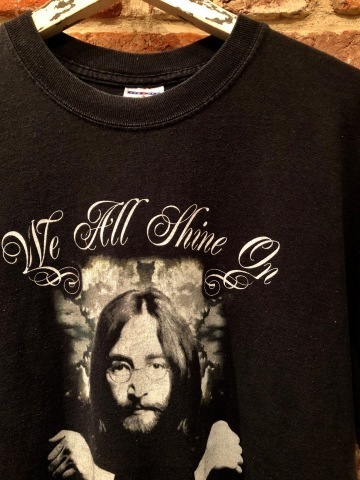 Late 1990s " HANES "
BRAND : Late 1990s " HANES "
ITEM : - SLAYER - ROCK Tee SHIRTS . 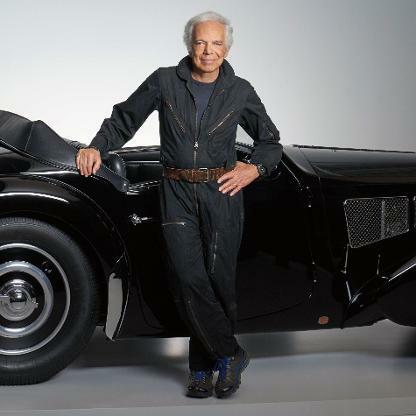 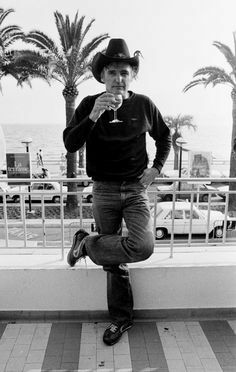 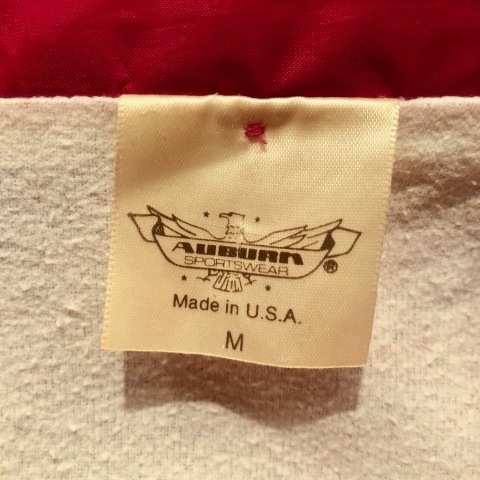 MADE IN south AMERICA . 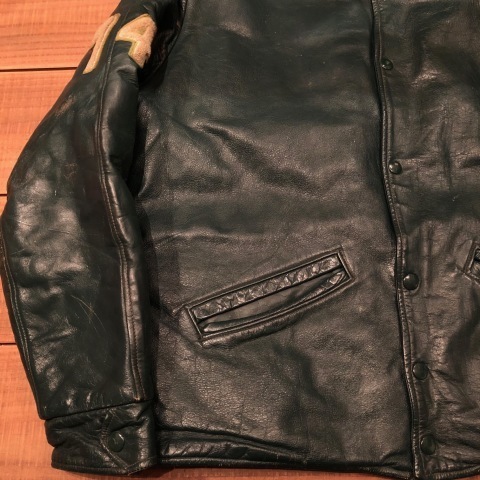 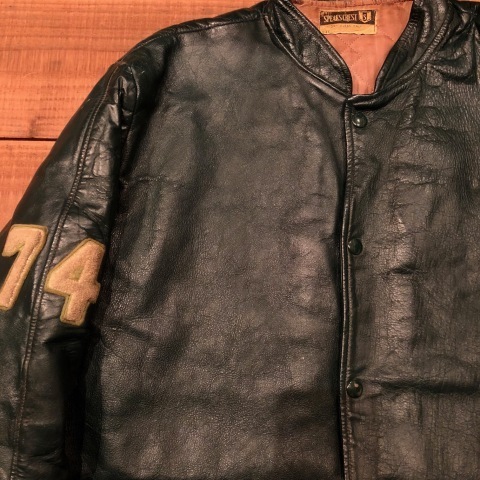 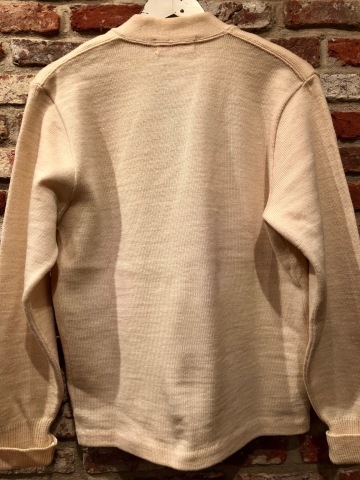 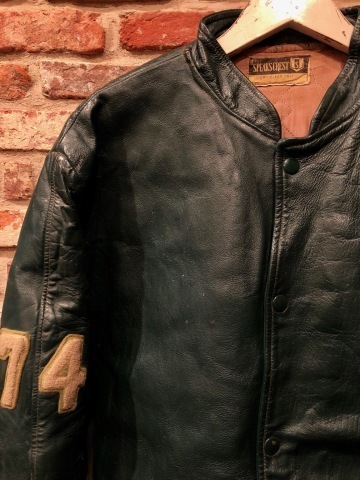 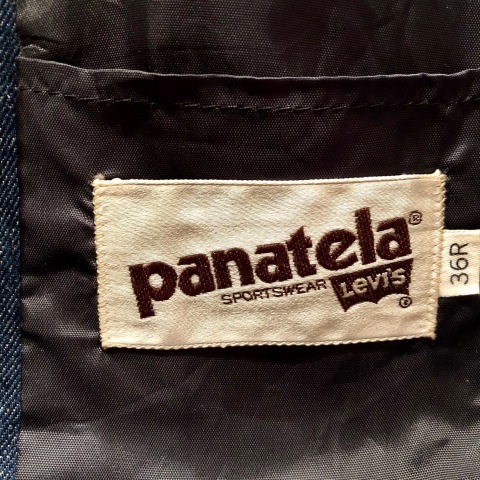 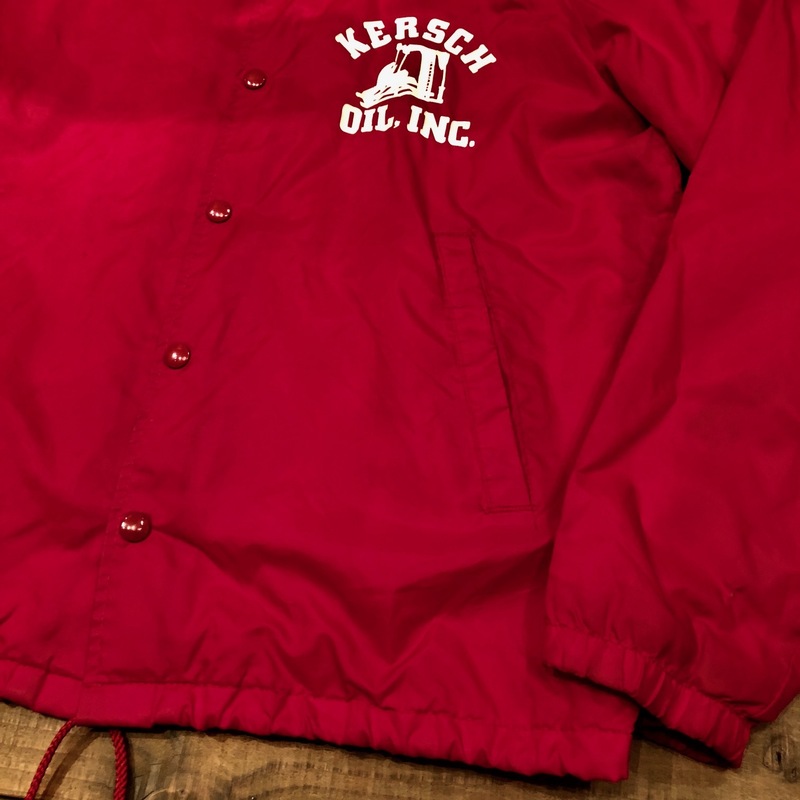 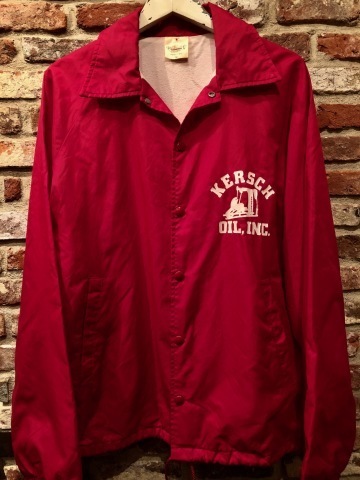 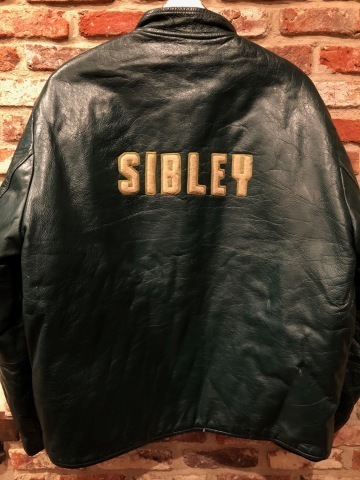 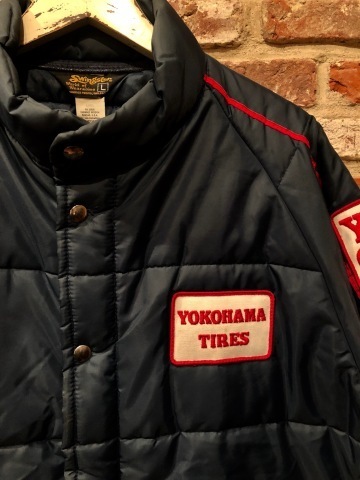 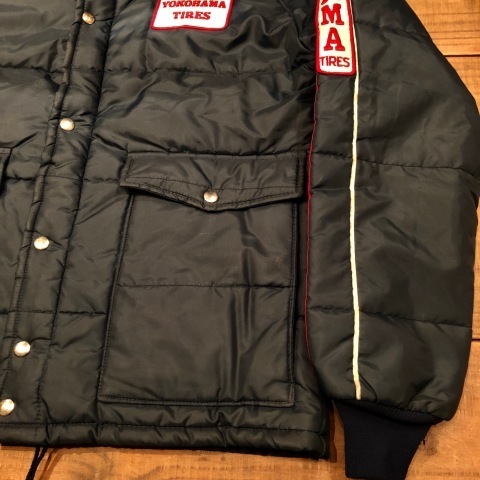 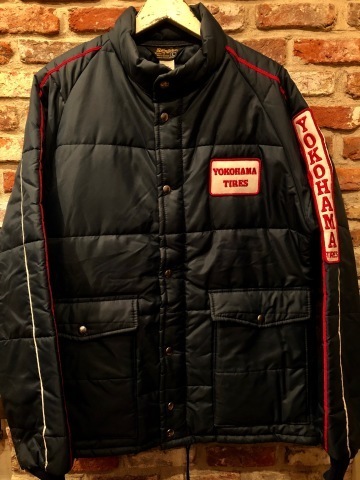 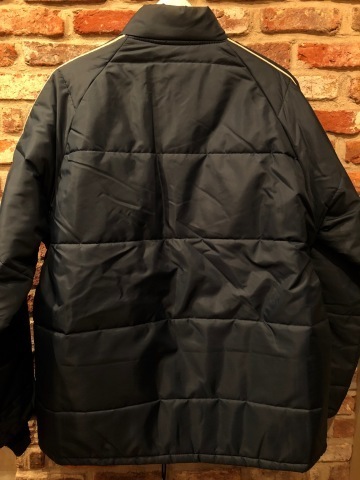 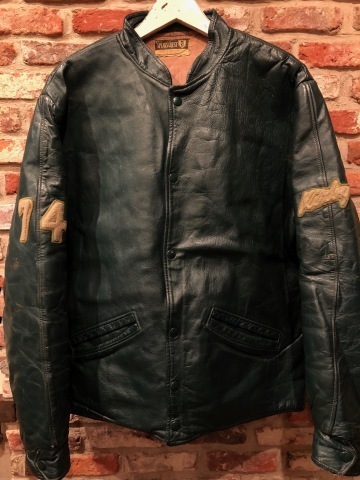 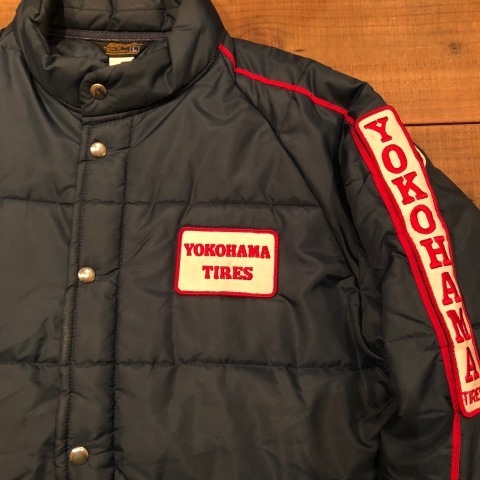 1970-80s " SWING STER "
BRAND : 1970-80s " SWING STER "
- INSULATED - NYLON RACING JACKET .
" 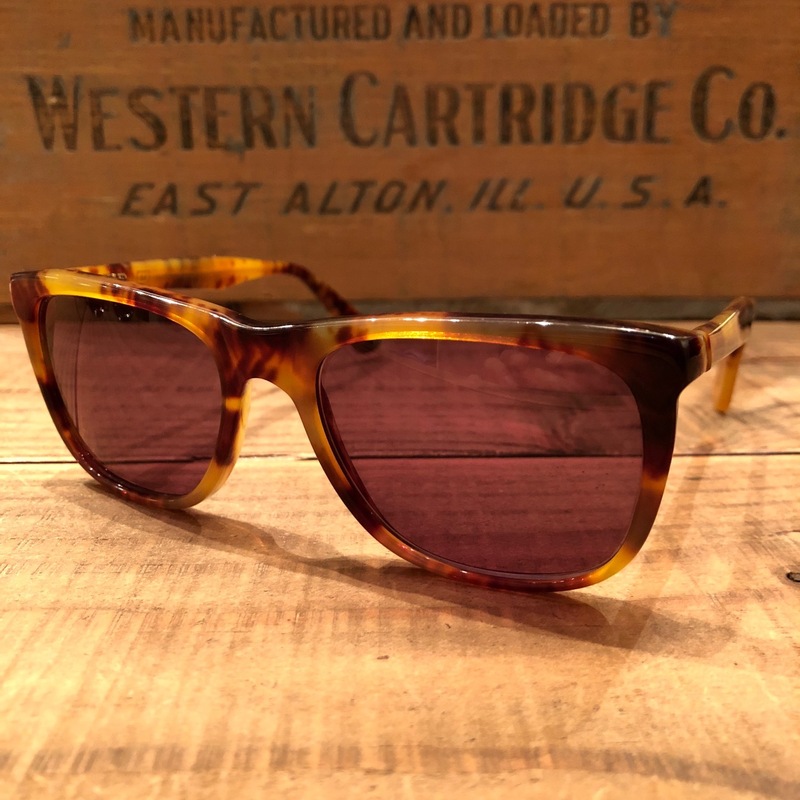 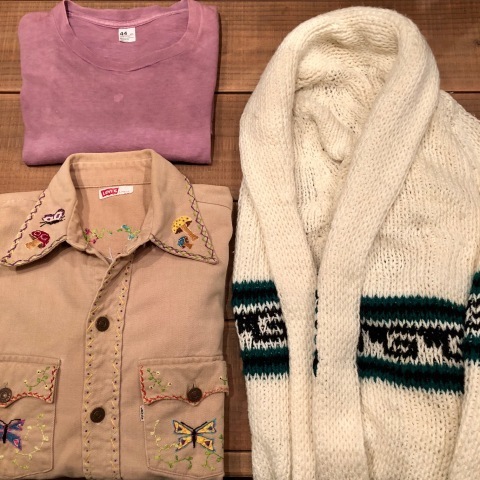 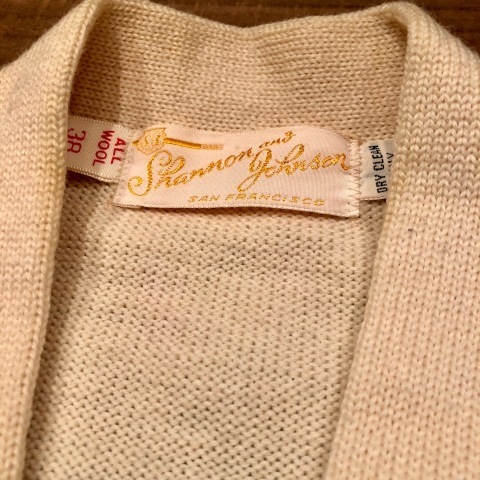 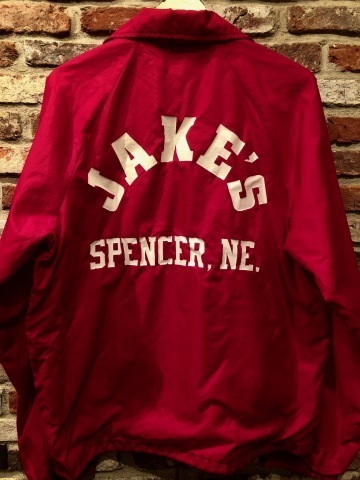 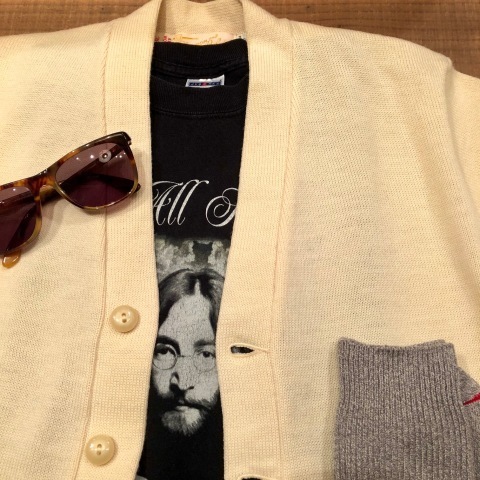 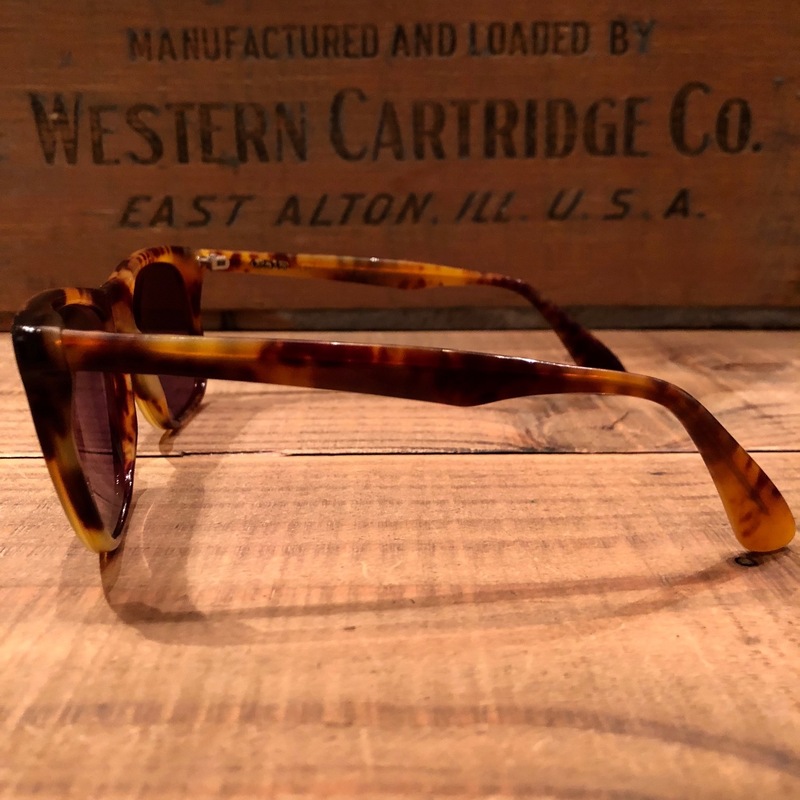 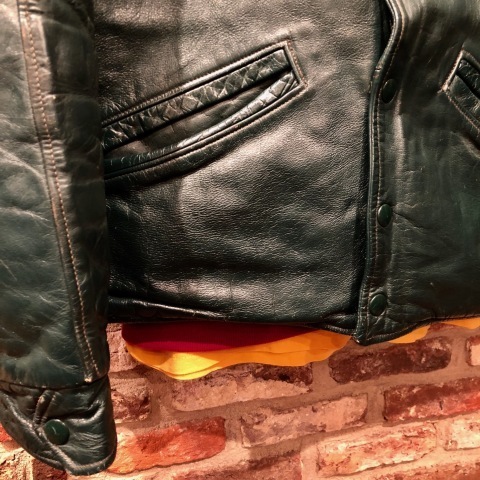 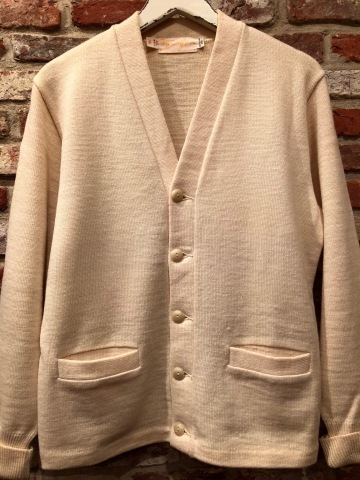 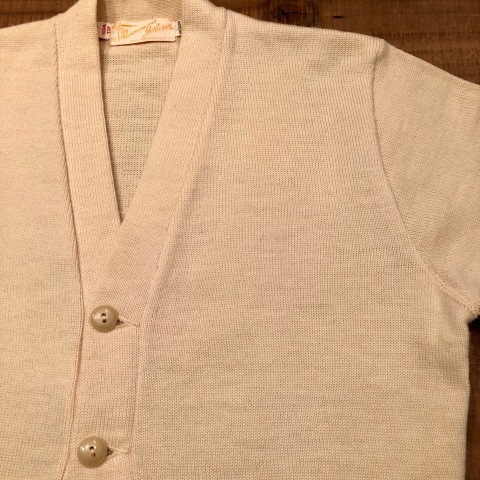 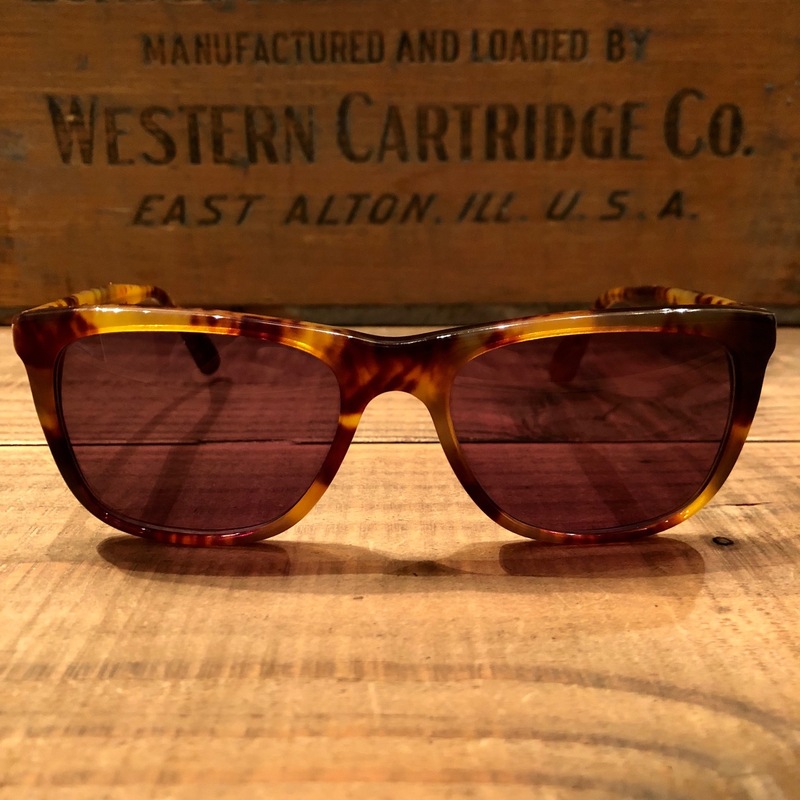 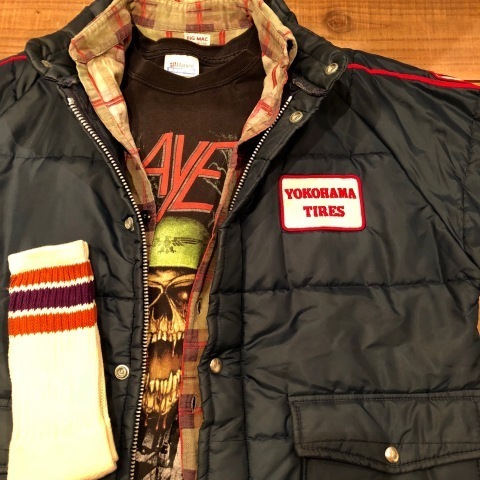 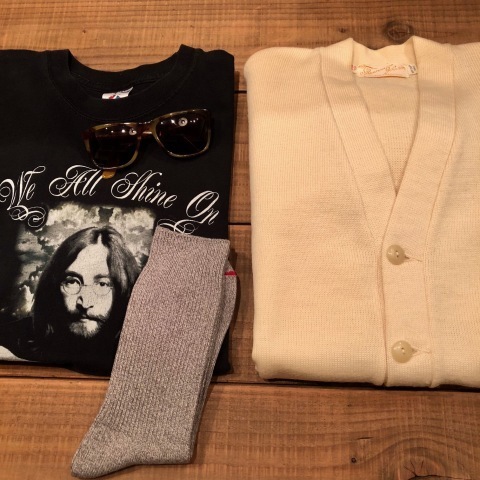 COL : ORANGE × PUPPLE "
" 曇り 時々 晴れ "
1950s " Shannon and Johnson "
" Shannon and Johnson "
BRAND : 1950s " Shannon and Jhonson "
BRAND : 1990s " JERZEES "
1980s " POLO by RALPH LAUREN "
BRAND : 1980s " POLO by RALPH LAUREN "
SIZE : ONE FITS ALL .
" 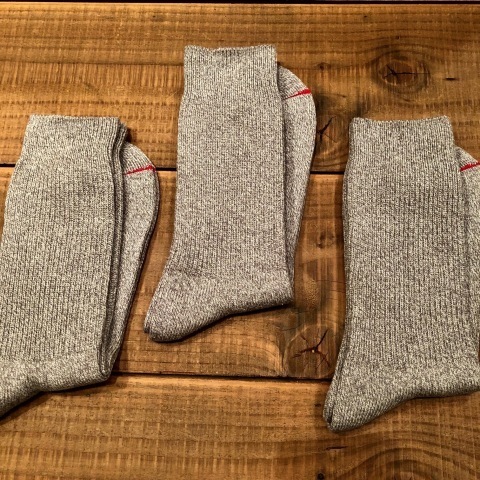 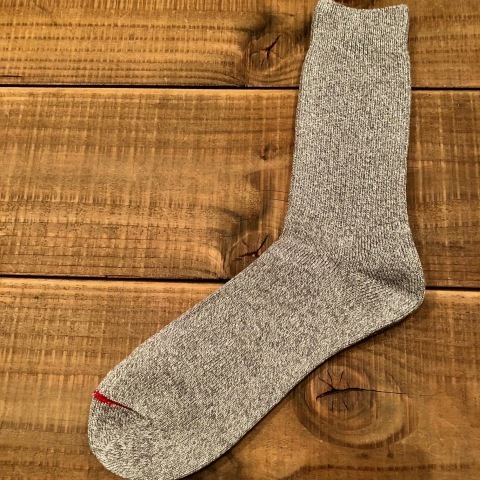 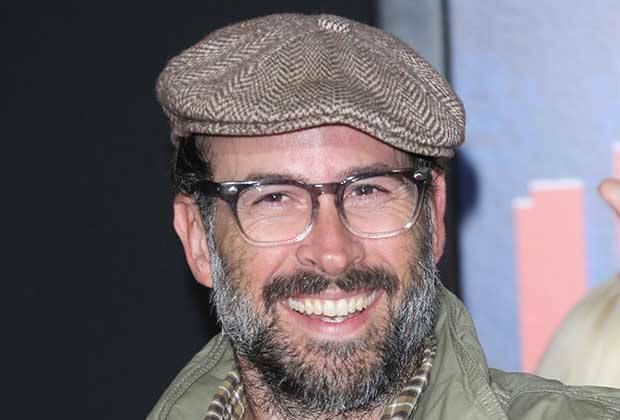 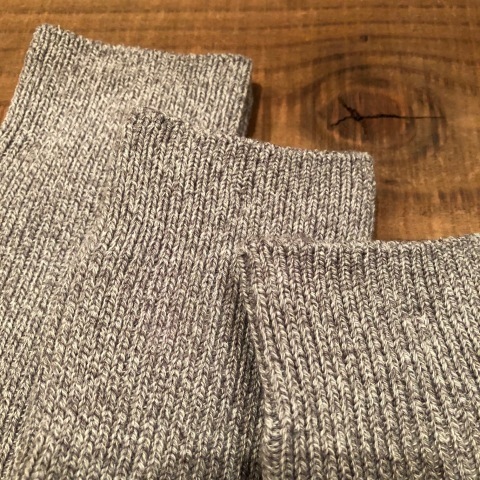 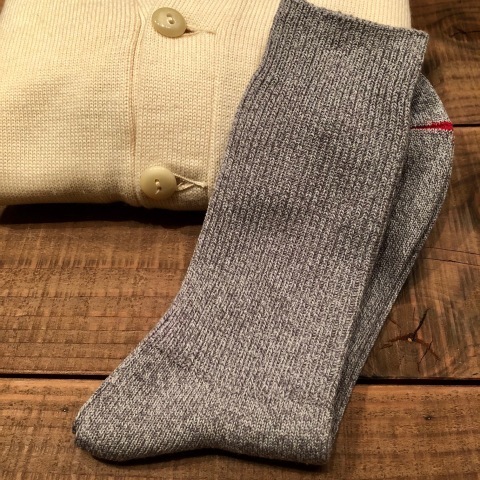 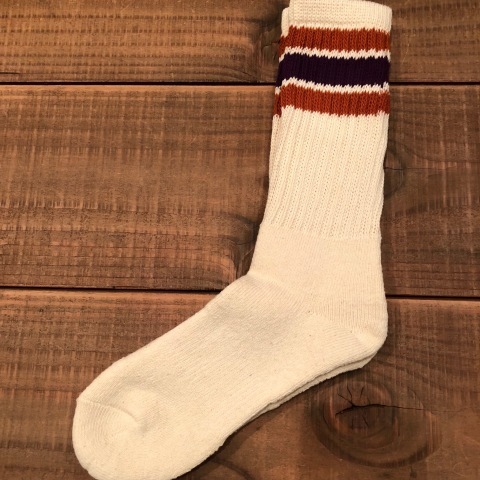 COL : Feather GRAY "
OLD SKOOL cotton SOCKS . 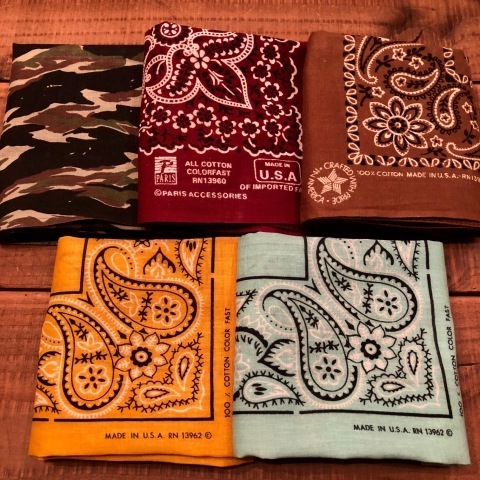 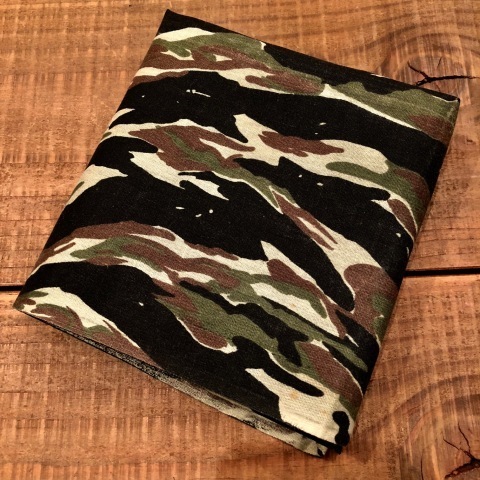 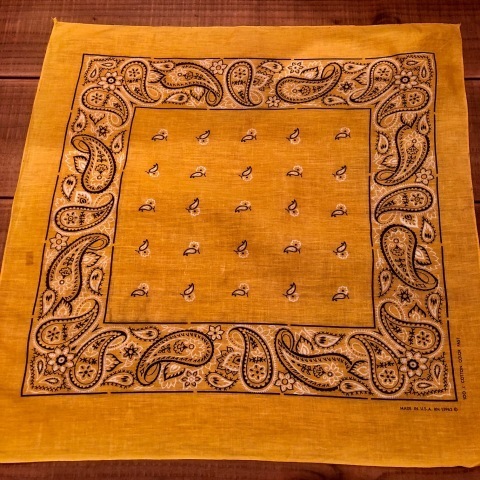 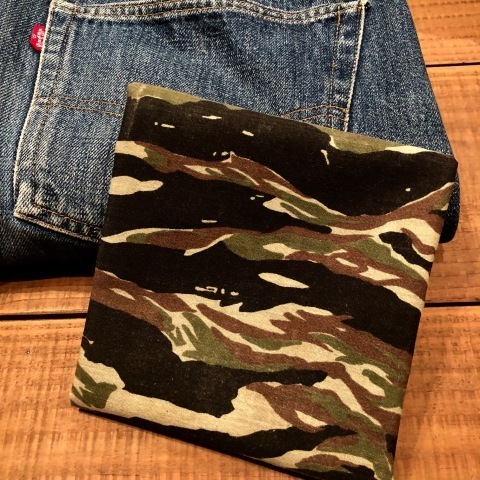 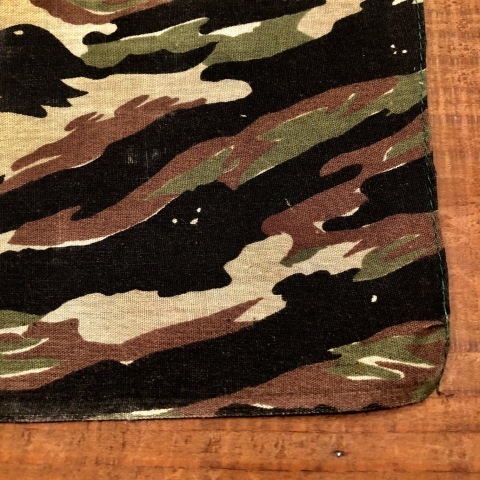 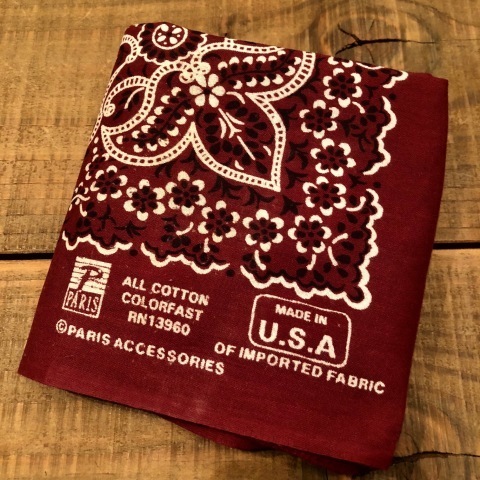 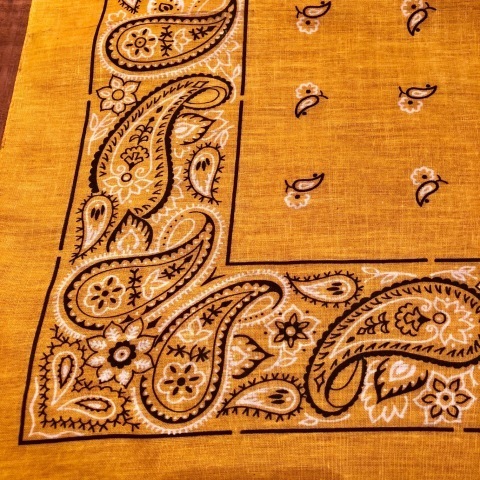 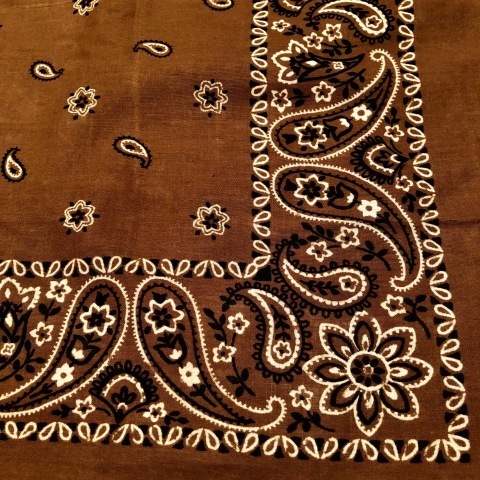 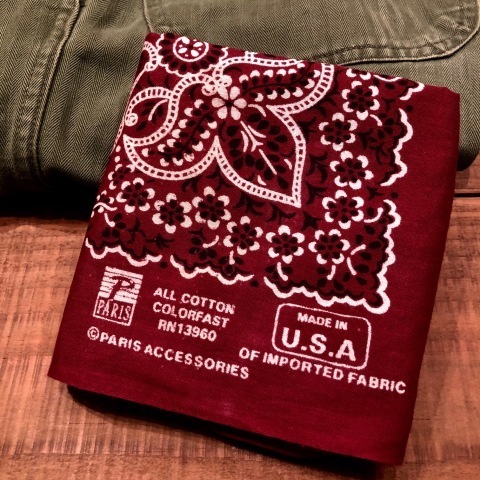 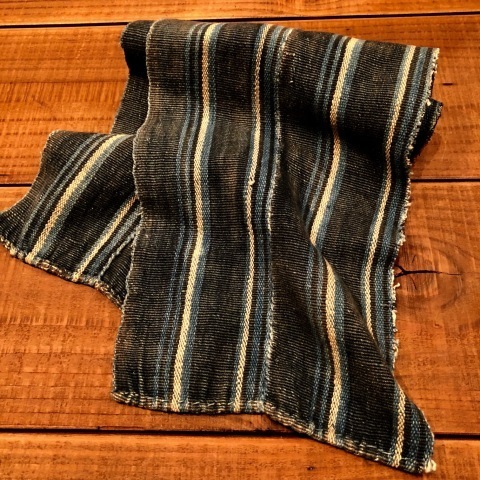 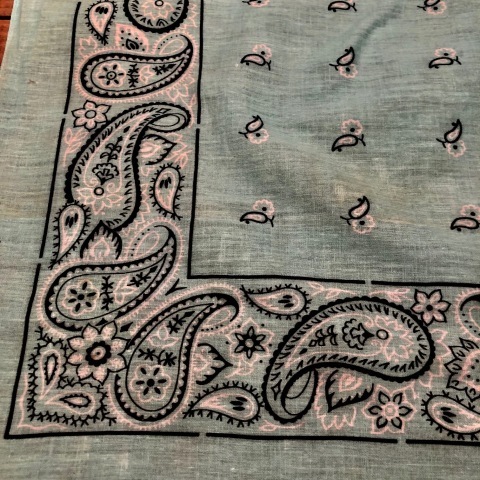 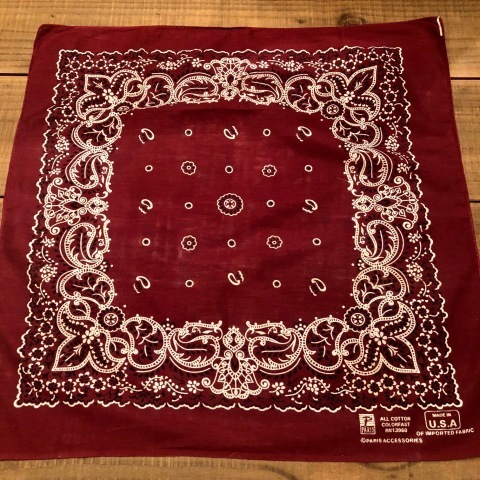 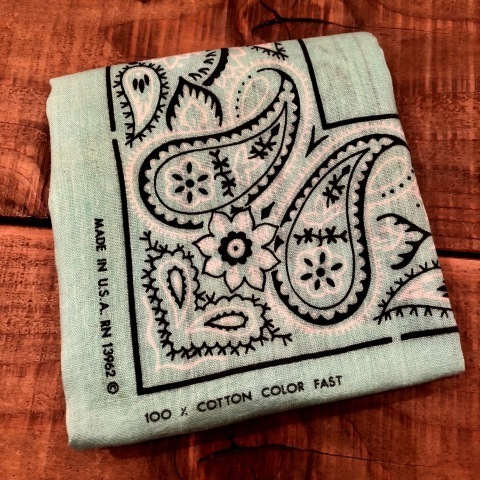 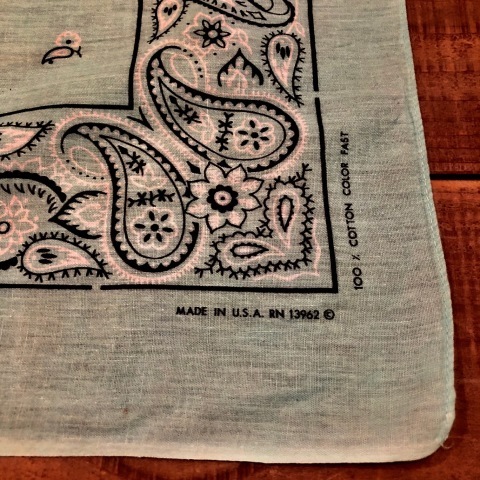 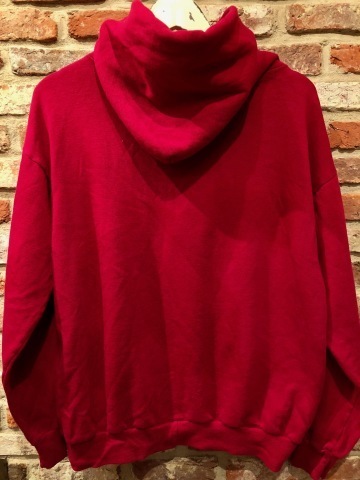 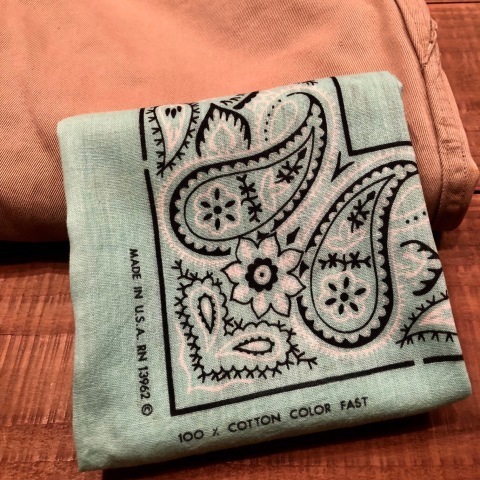 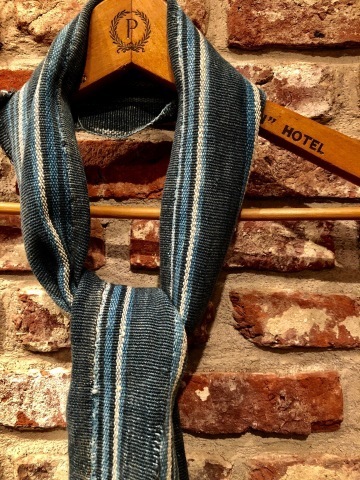 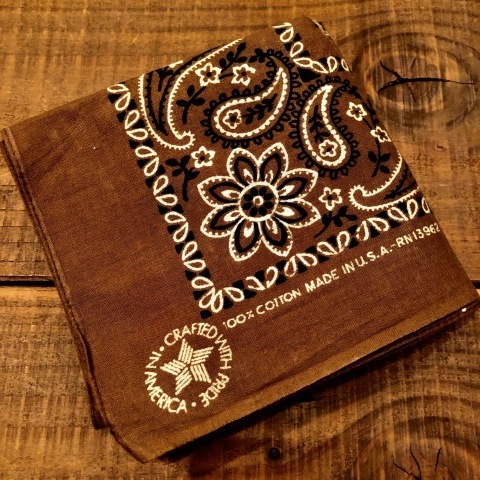 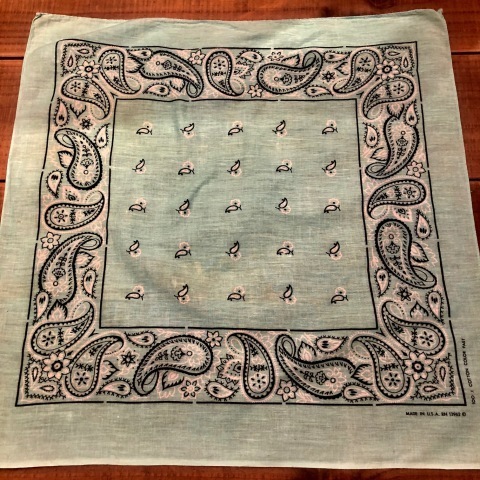 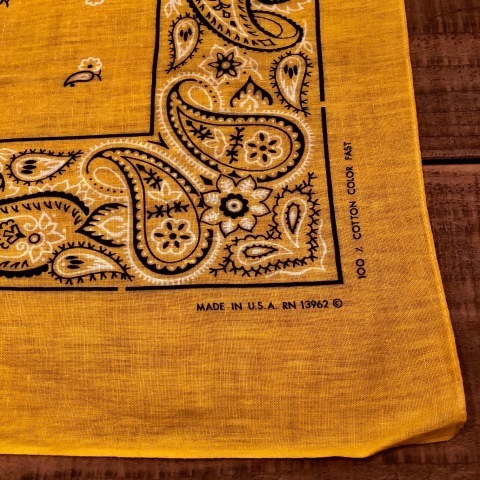 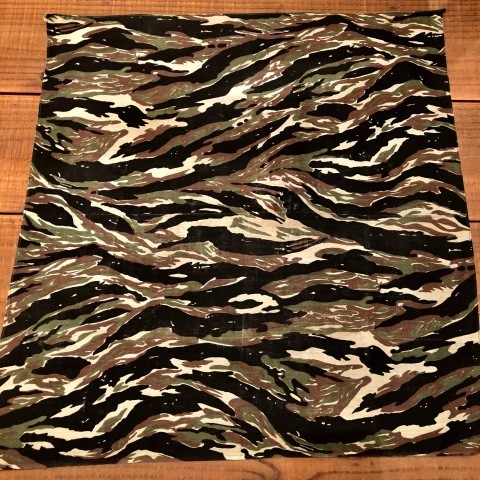 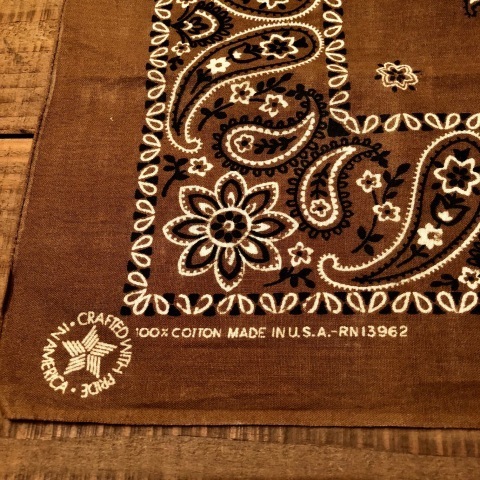 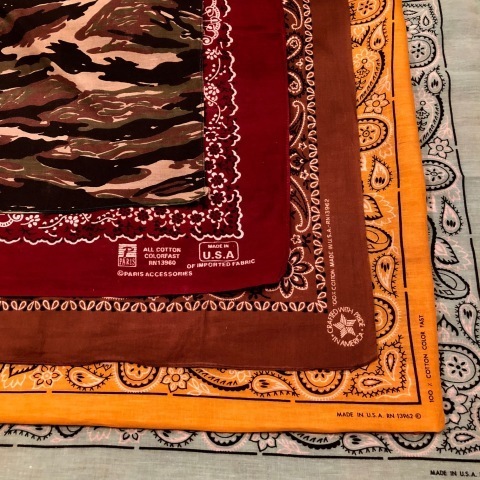 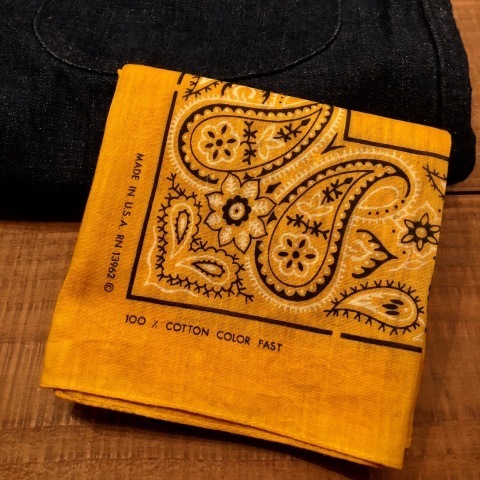 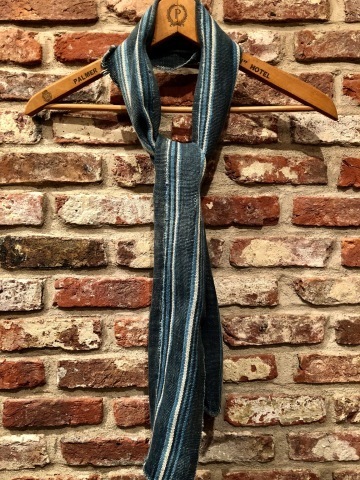 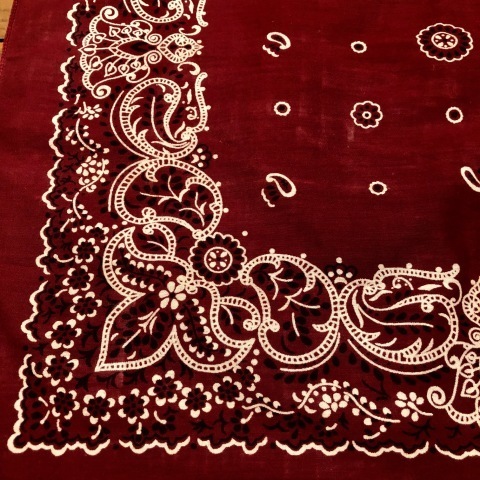 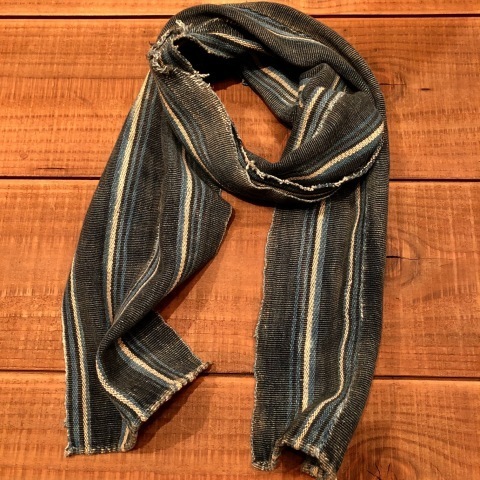 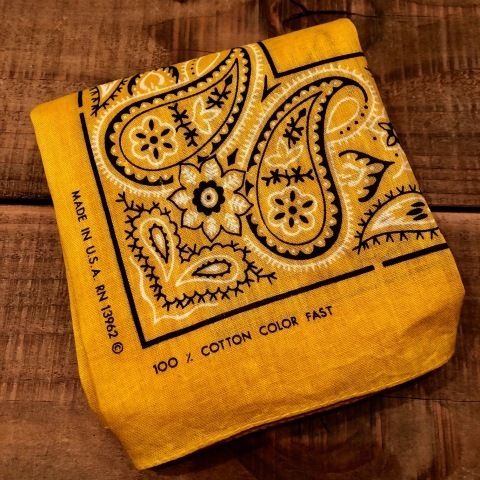 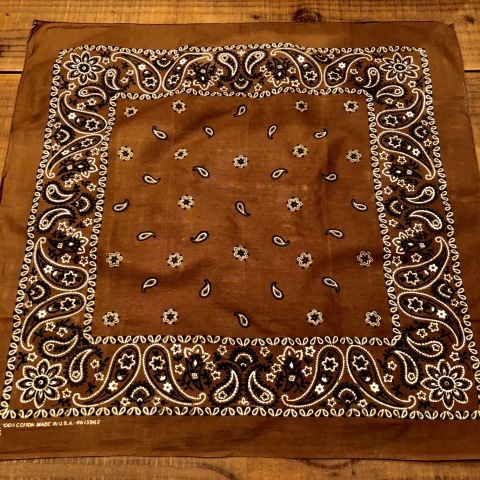 Early 1980s " PARIS ACCESSORIES "
" 質感 や カラーリング "
BRAND : 1980s " PARIS ACCESSORIES "
VINTAGE FAST COLOR BANDANA . 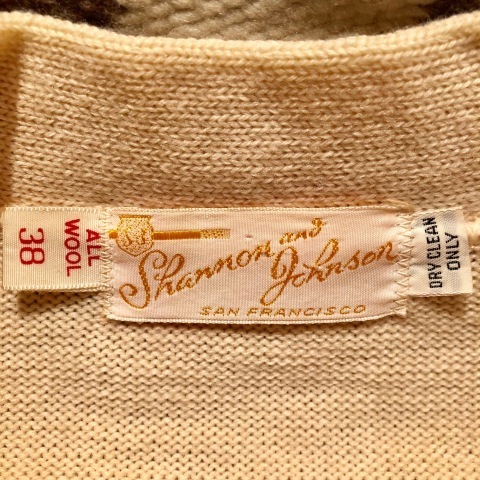 MID 1980s " I.SHALOM NewYork "
BRAND : MID 1980s " I.SHALOM NewYork "
Late 1980s " I. SHALON newyork "
BRAND : 1980s " I. SHALON new york "
Late 1980s " I. SHALON new york "
BRAND : Late 1980s " I. SHALON new york "
1970s " AUBURN - SPORTS WEAR - "
BRAND : 1970s " AUBURN - SPORTS WEAR - "
BRAND : 1960s " PENDLETON WOOLEN MILLS "
趣味は " サーフィン と 服 "
- FRISKO - WORK TROUSERS PT .
" 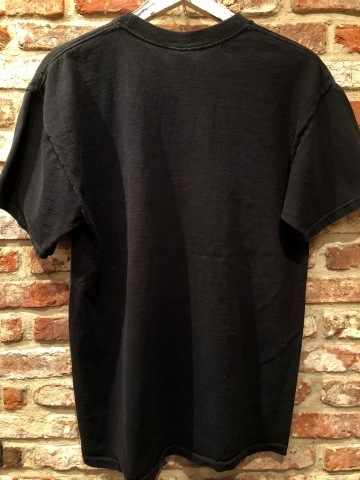 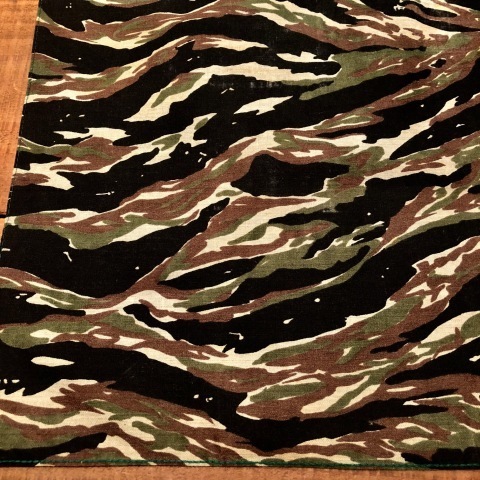 COL : Black NAVY "